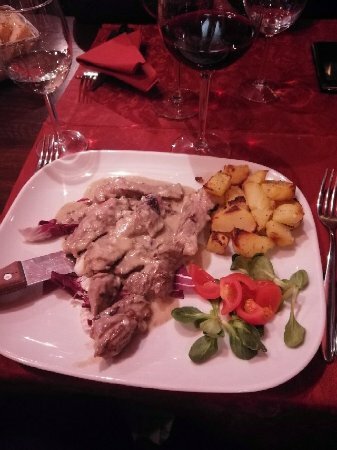 You don&apos;t have to open any doors to find the restaurant: just follow your nose. 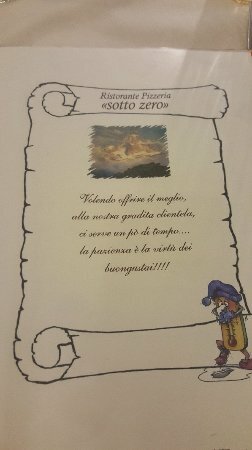 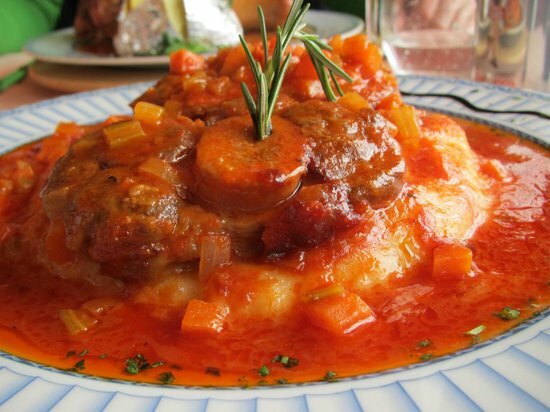 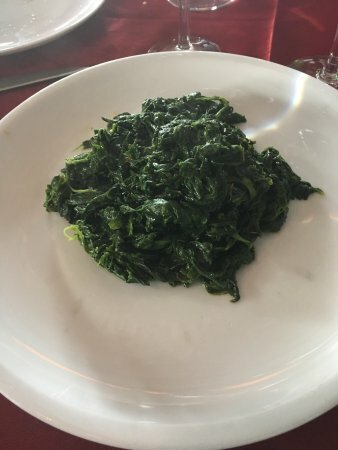 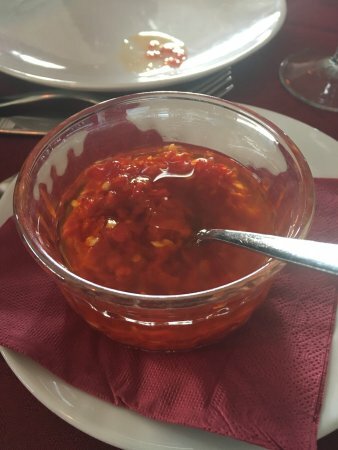 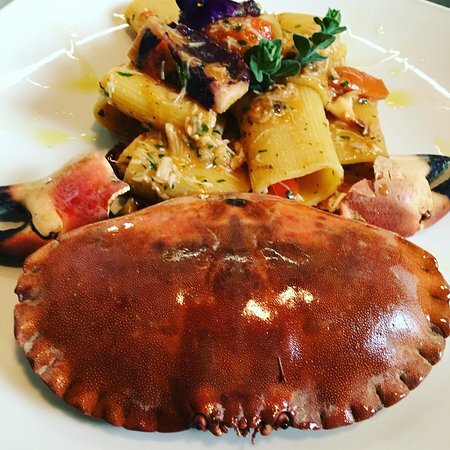 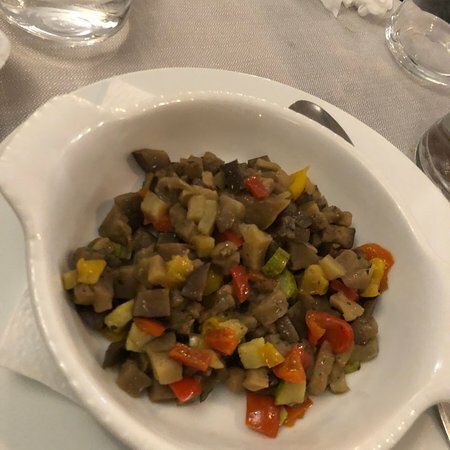 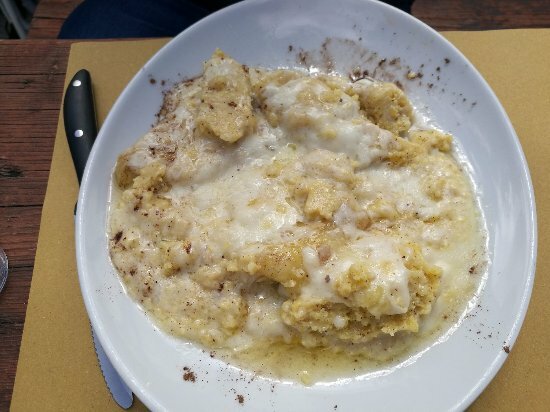 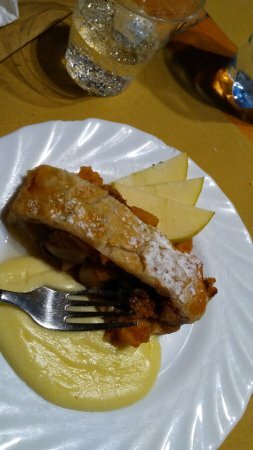 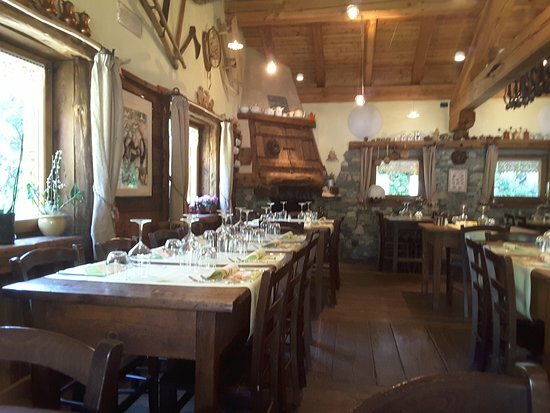 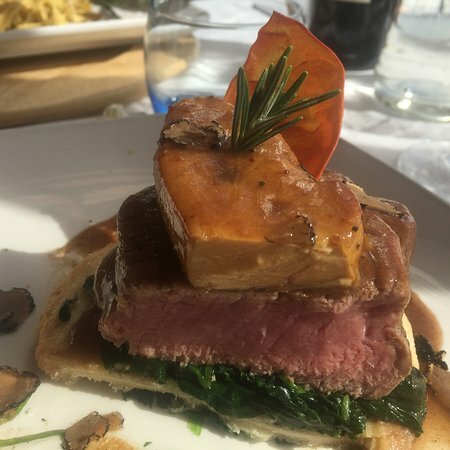 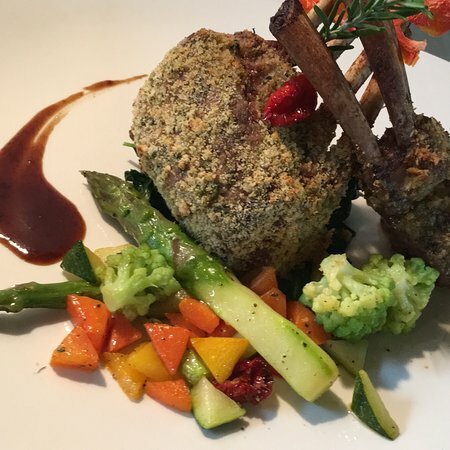 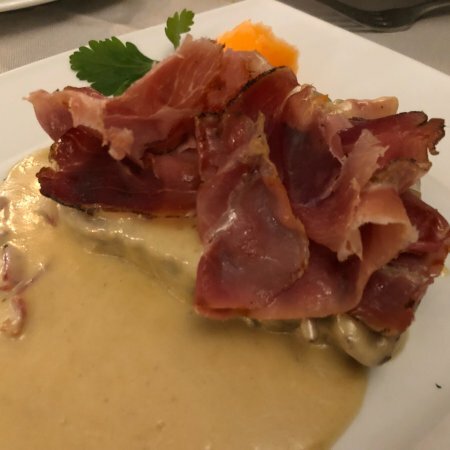 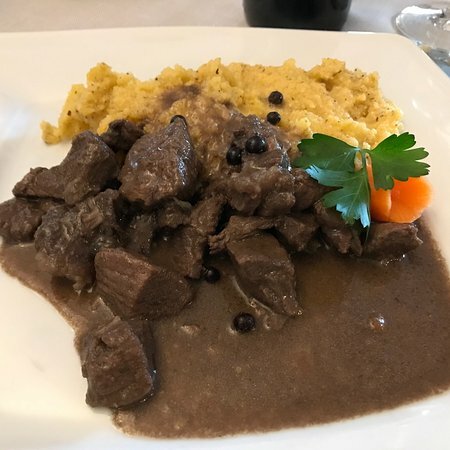 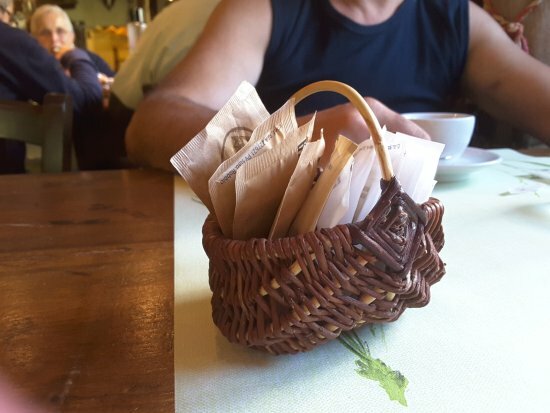 For example, you will be able to detect the fragrance of the traditional &apos;seuppa alla valpellinentze,&apos; and other specialities such as polenta, trout smoked with Valle d&apos;Aosta larch wood, braised meat dishes, and warm chocolate fondant. 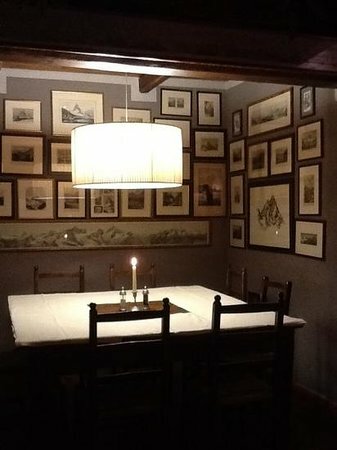 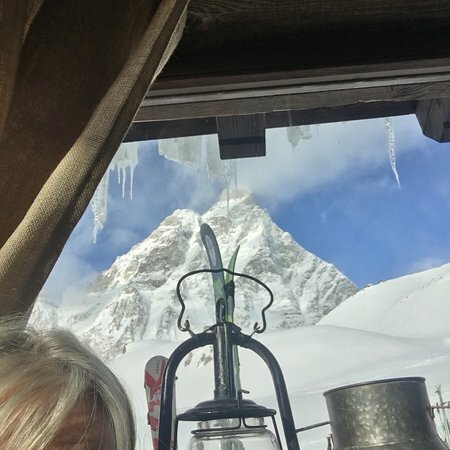 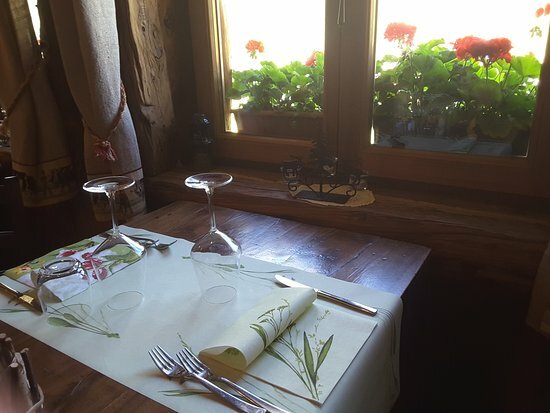 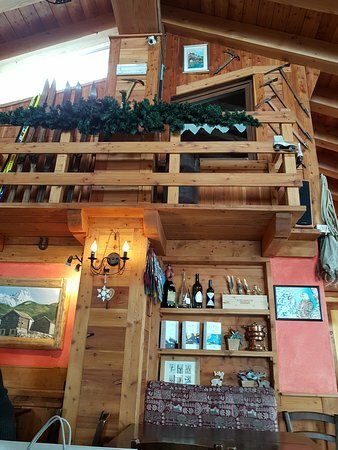 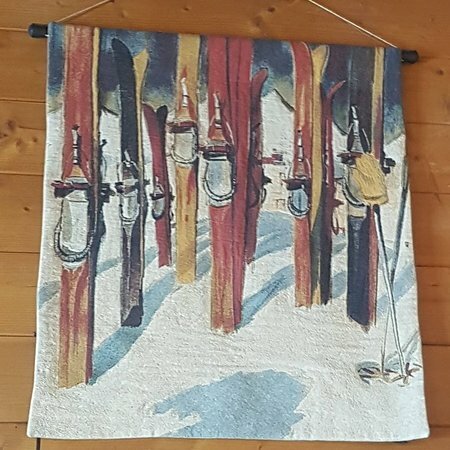 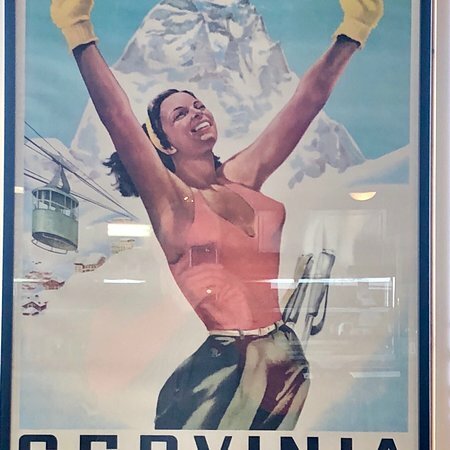 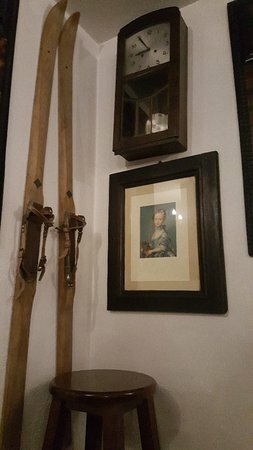 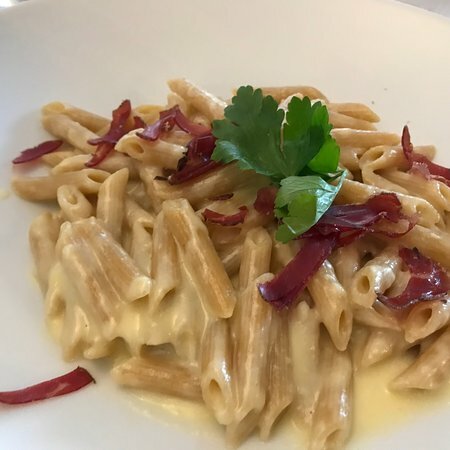 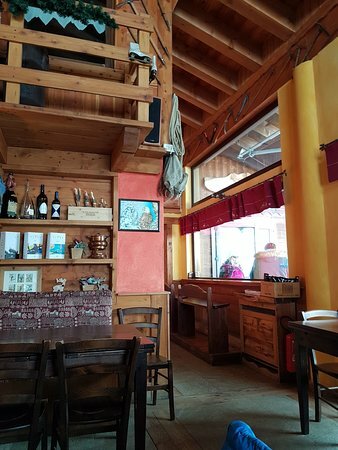 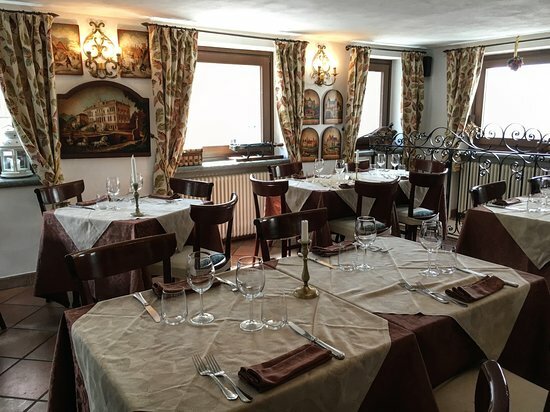 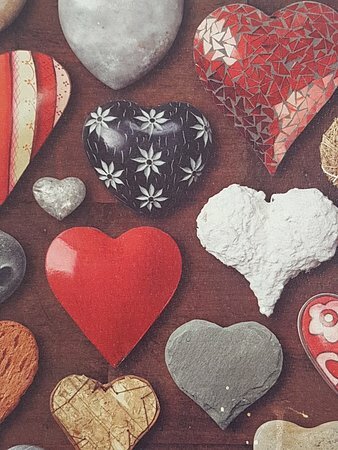 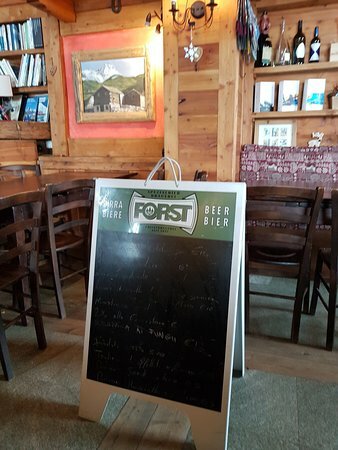 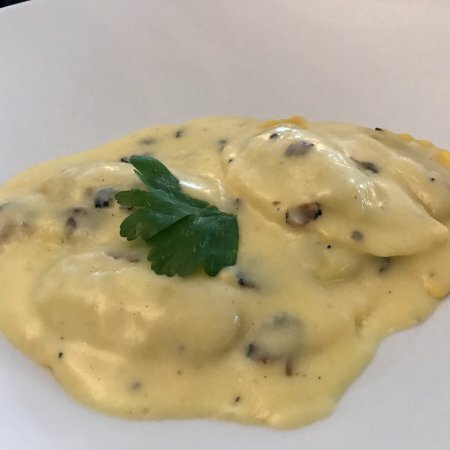 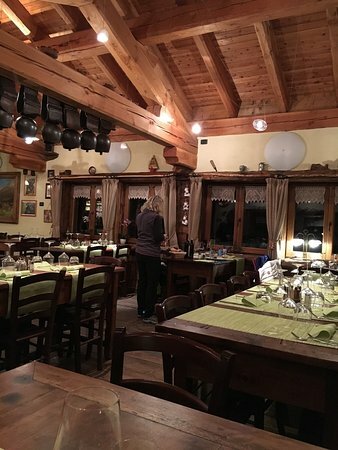 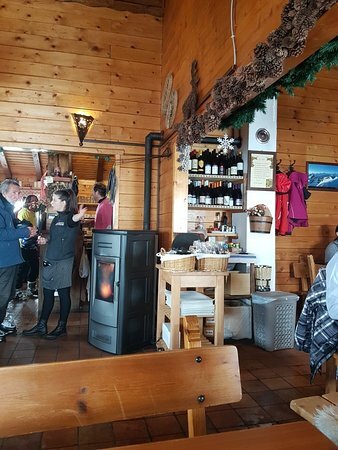 You are in Valle d&apos;Aosta, and you will find confirmation every time you look out of the windows and see the beautiful Mount Cervino, which can be admired through the windows, and also in the photographs and lithographs that cover just about the entire surface of the restaurant&apos;s walls. 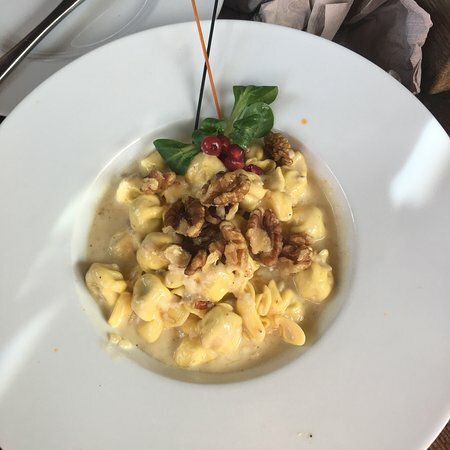 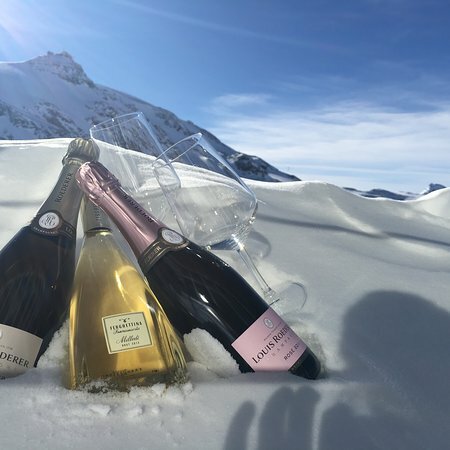 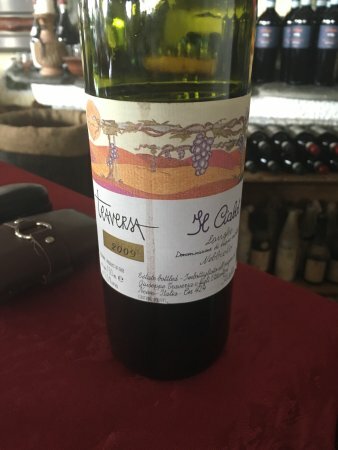 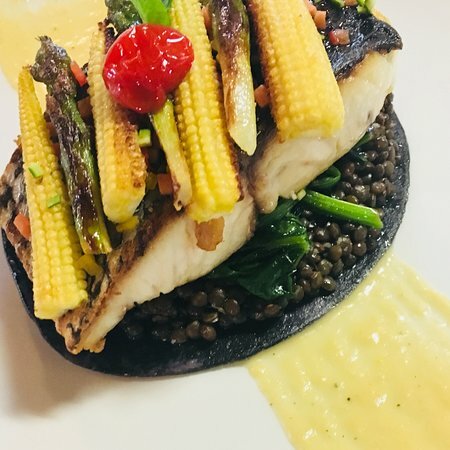 The same thing is whispered to you by the fragrances and flavours that you discover: traditional Valle d"Aosta recipes interpreted according to contemporary tastes, and exciting influences from Piedmont, France and the Mediterranean lands. 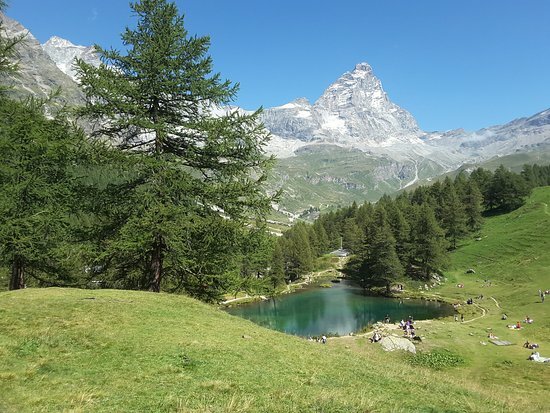 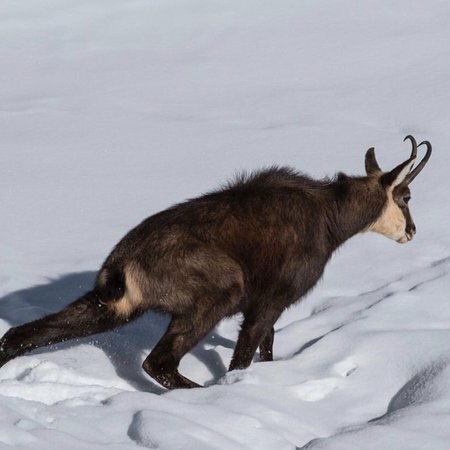 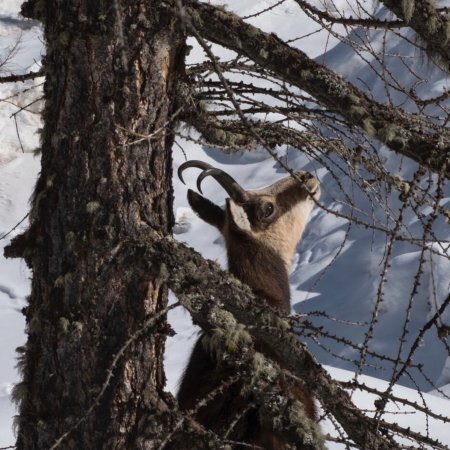 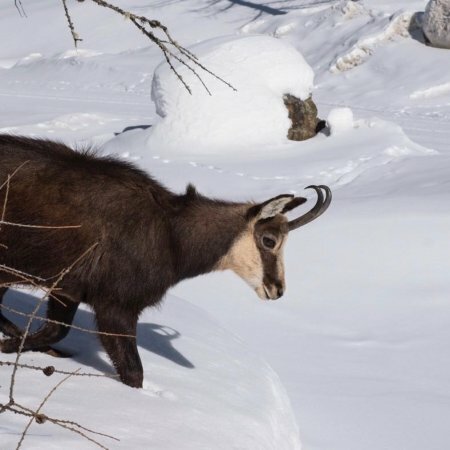 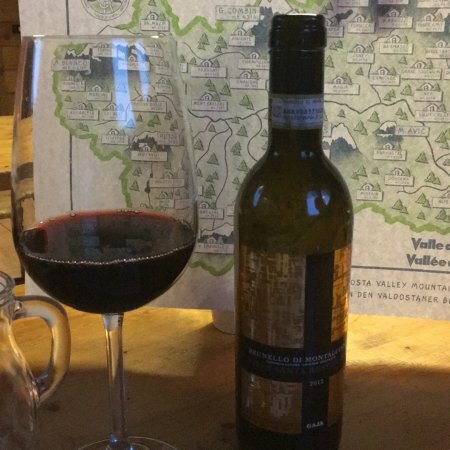 Valle d&apos;Aosta benefits from an uncontaminated natural Alpine environment, and centuries of heritage in agriculture, stockraising and cheese production. 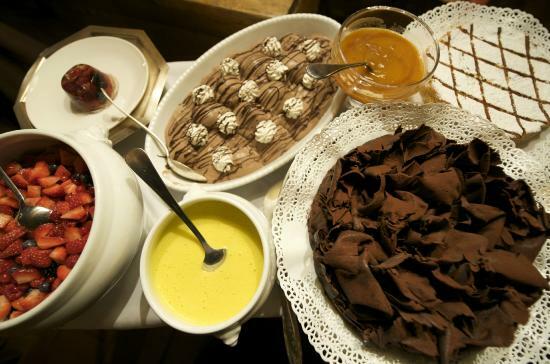 It has all the right conditions to produce ingredients of highest quality. 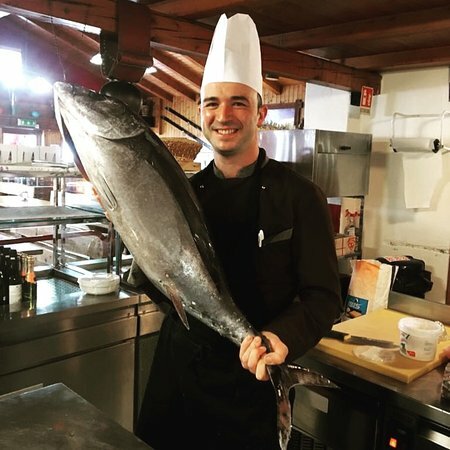 Damiano Ceva, chef at Les Neiges d&apos;Antan, does the rest. 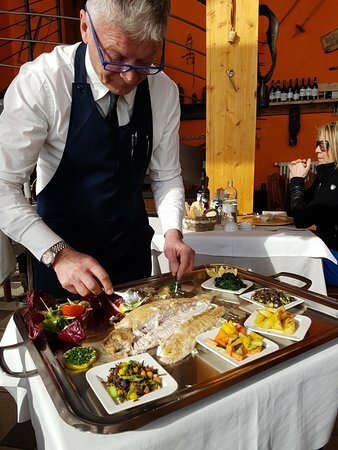 Here is the menu of his convictions: - a short, very short supply chain, with ingredients selected from local produce made by small-scale farmers - total respect of seasonal availability of ingredients - short cooking times, so that the nutritional characteristics and authentic flavours of all ingredients are retained and enhanced. 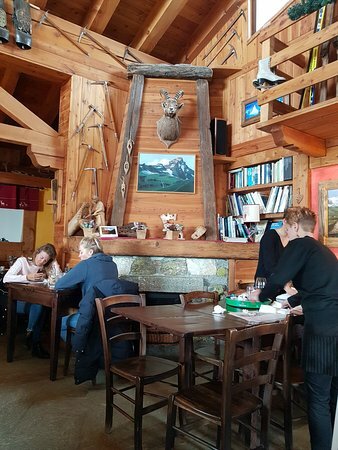 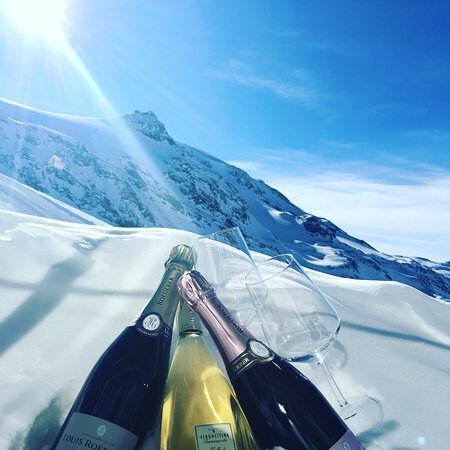 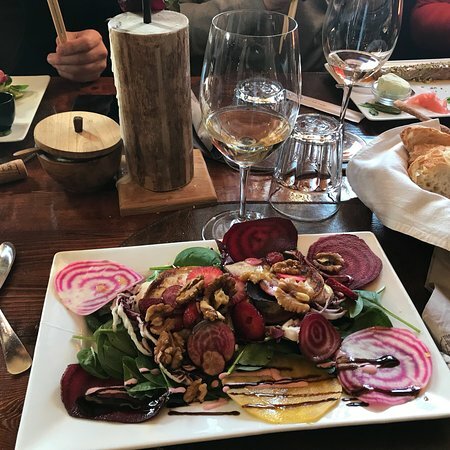 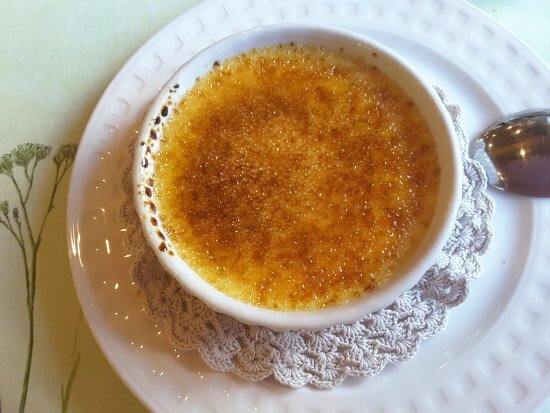 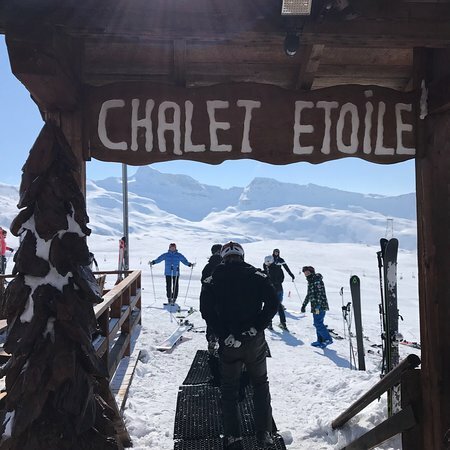 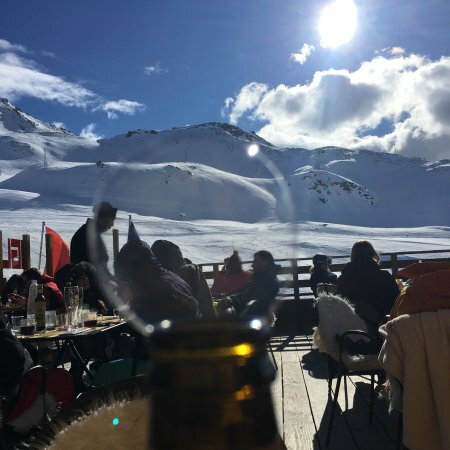 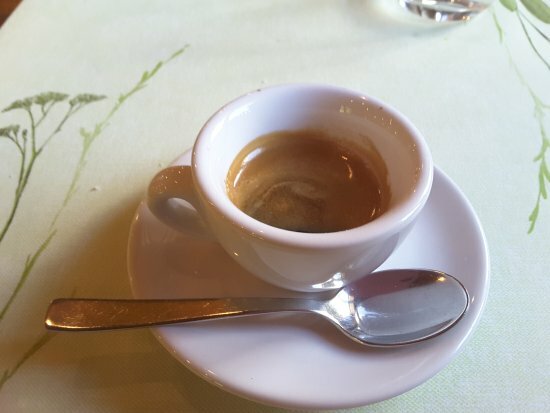 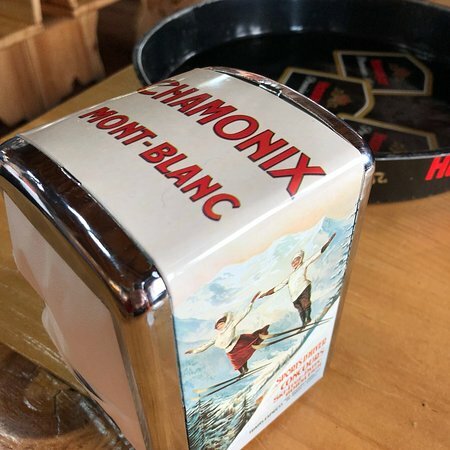 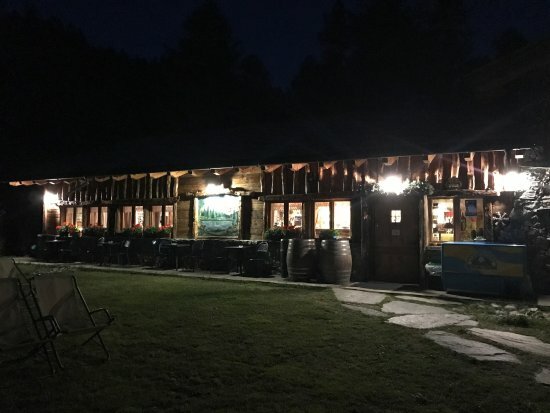 Every year, the restaurant at Les Neiges d&apos;Antan wins praise in reviews published by authoritative culinary guides (Michelin, L&apos;Espresso, Gambero Rosso, Veronelli). 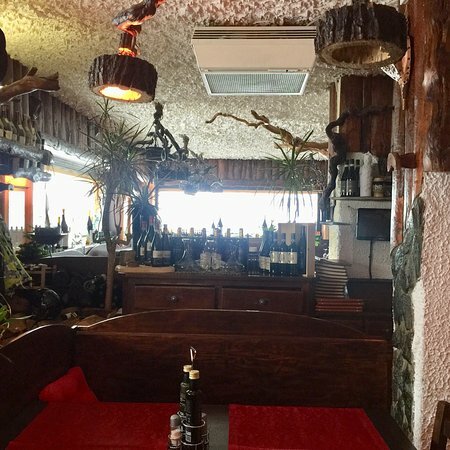 More importantly, it succeeds in delighting all those who search for places where taste and good taste are combined to perfection. 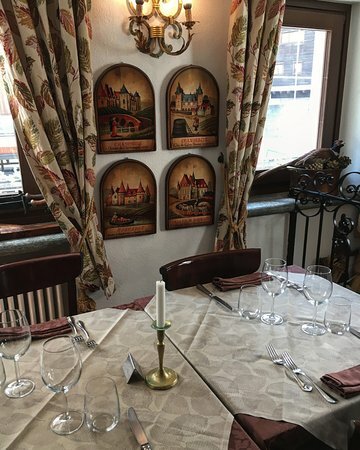 A restaurant where every moment becomes a pleasure to be savoured at length and remembered for long after, as one of life&apos;s exquisite experiences. 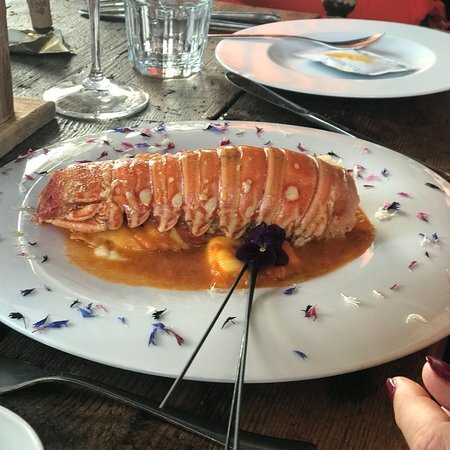 This is the real touch of magic that the chef and the setting manage to perform: bringing the palate a little closer to the heart. 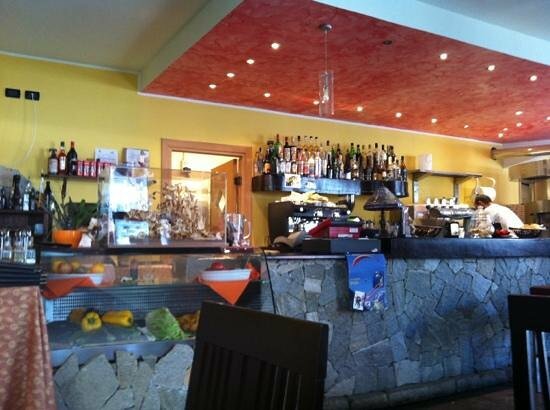 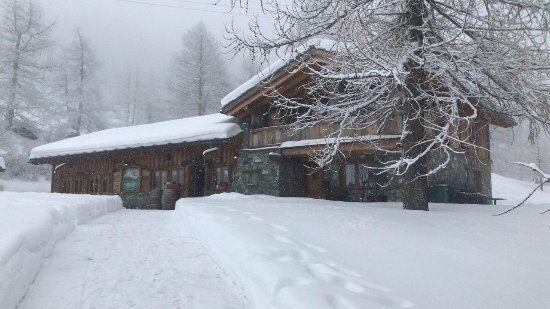 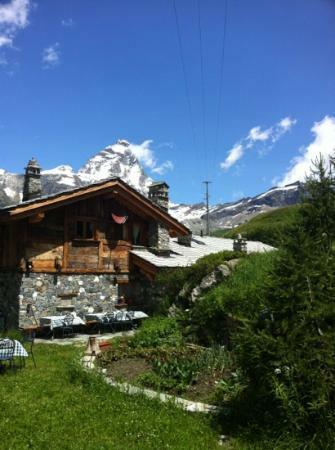 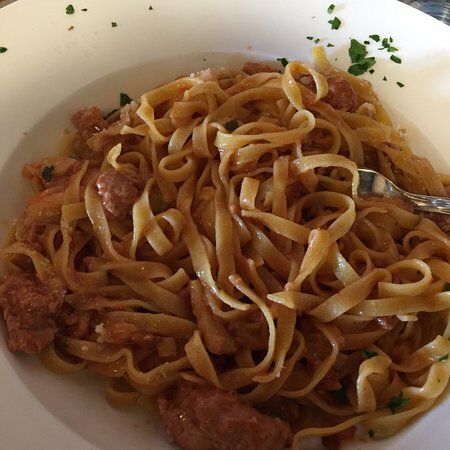 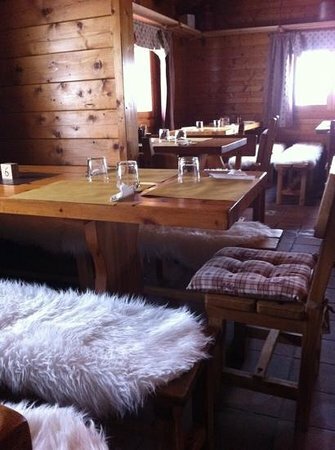 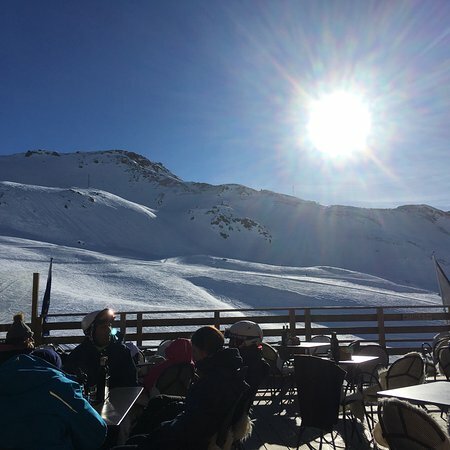 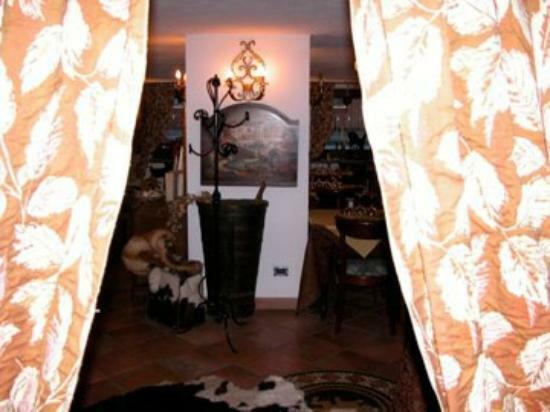 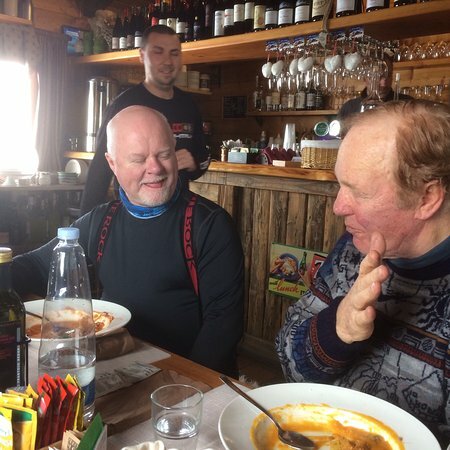 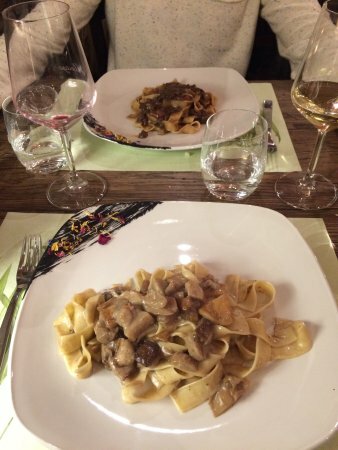 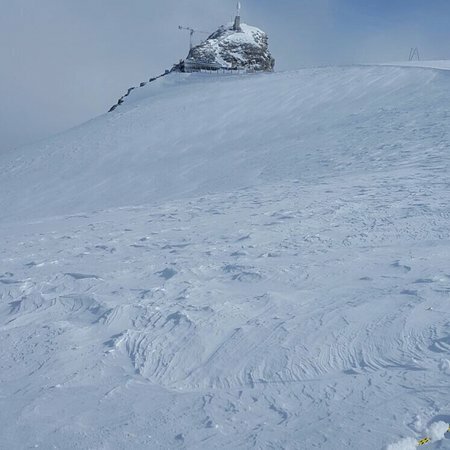 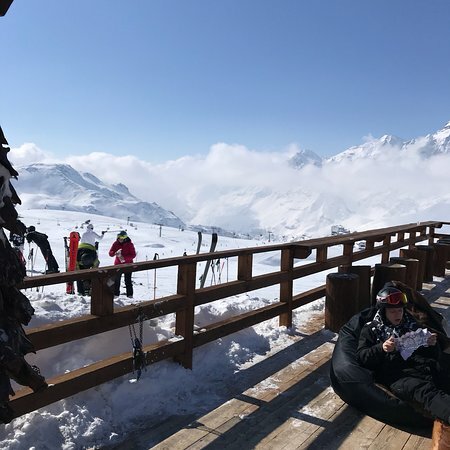 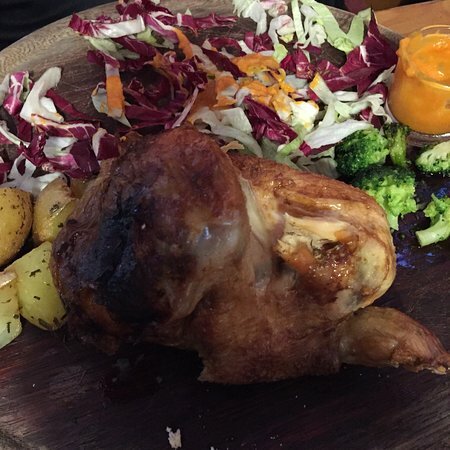 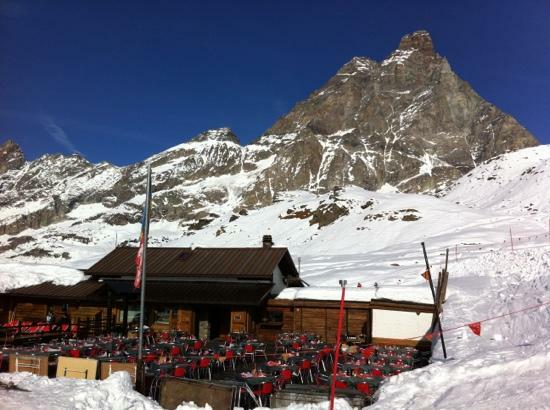 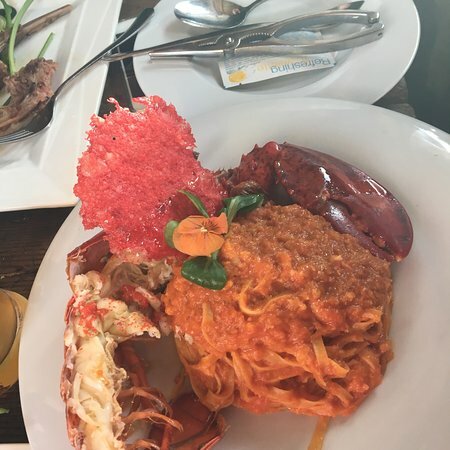 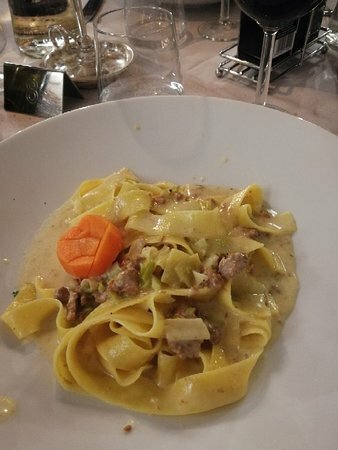 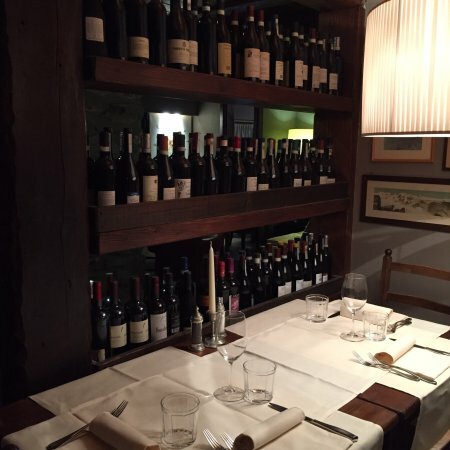 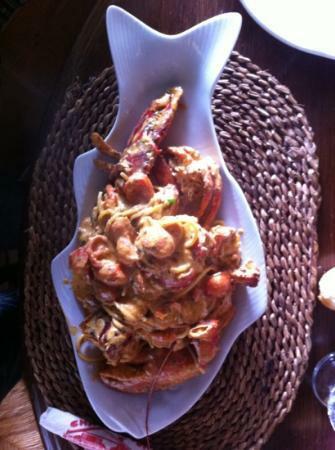 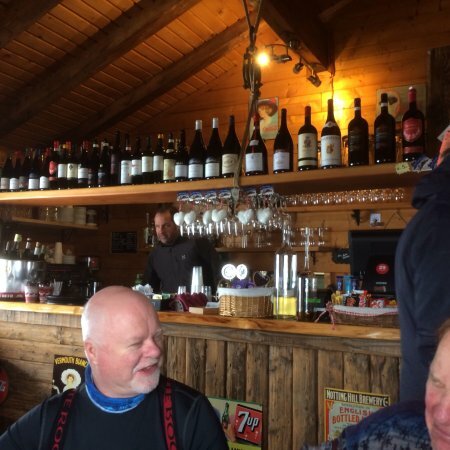 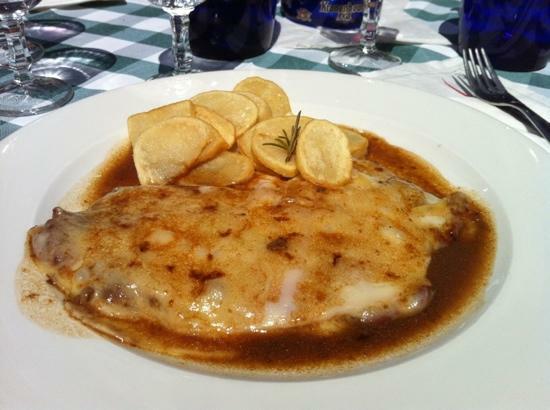 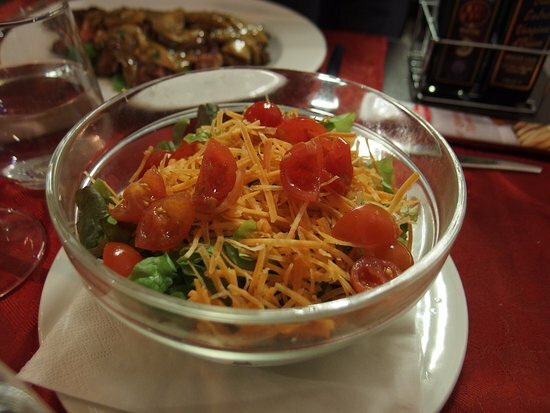 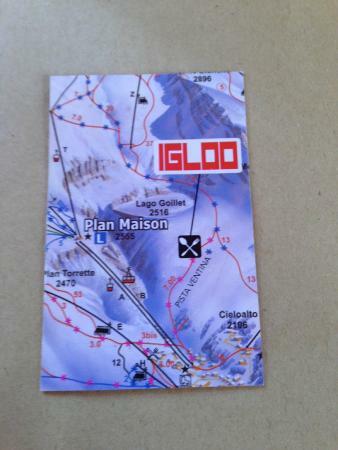 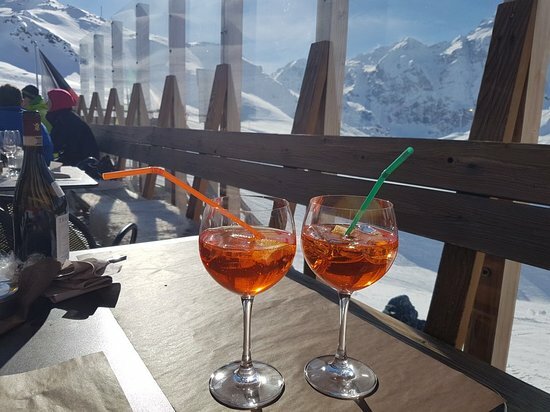 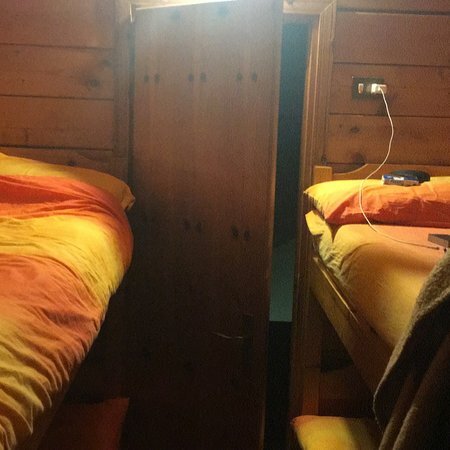 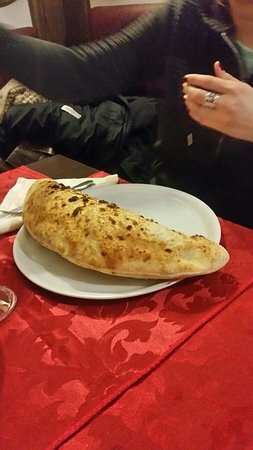 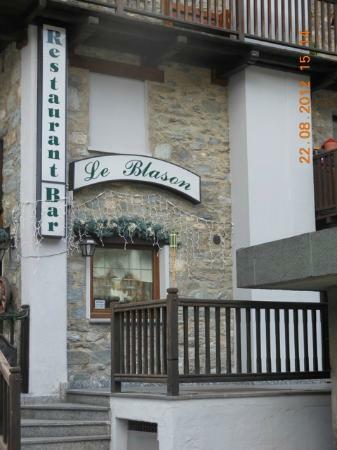 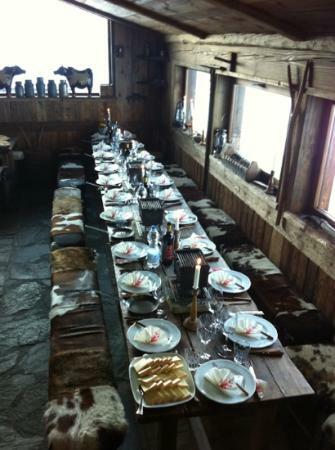 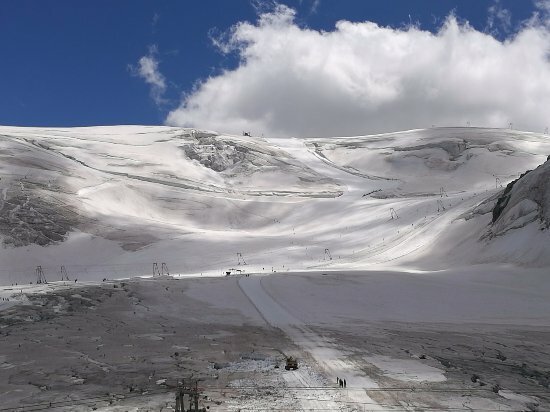 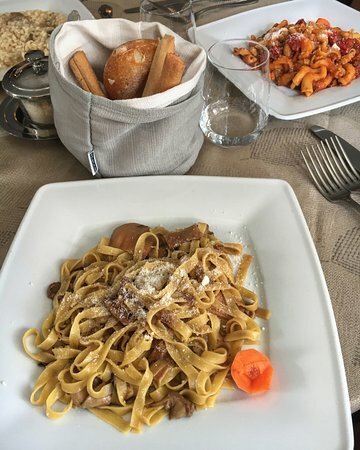 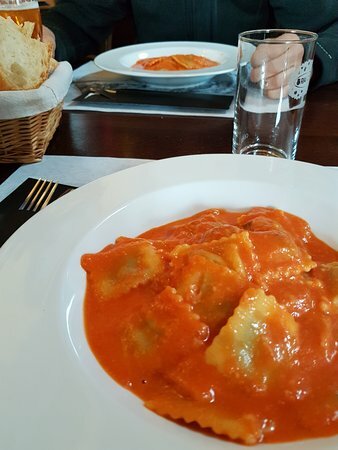 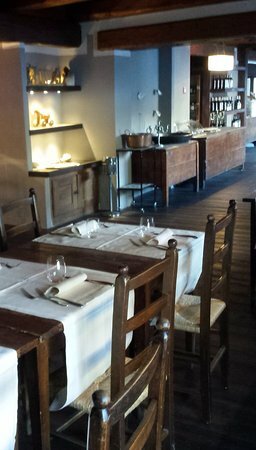 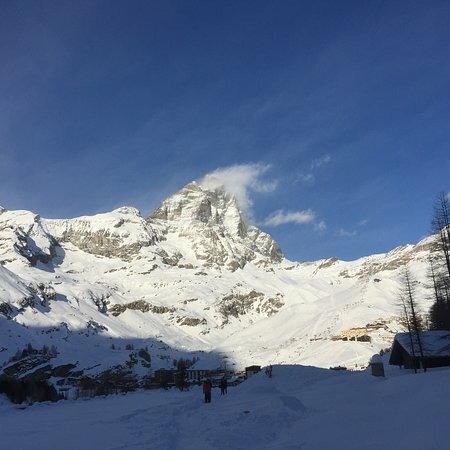 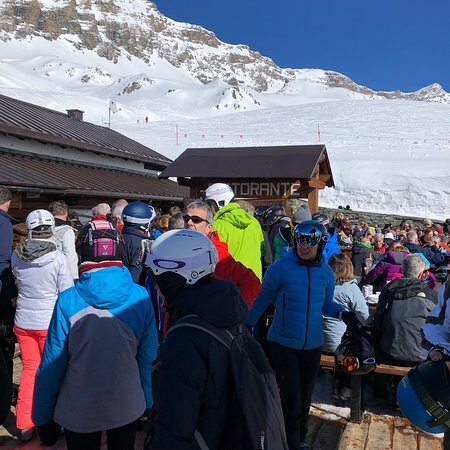 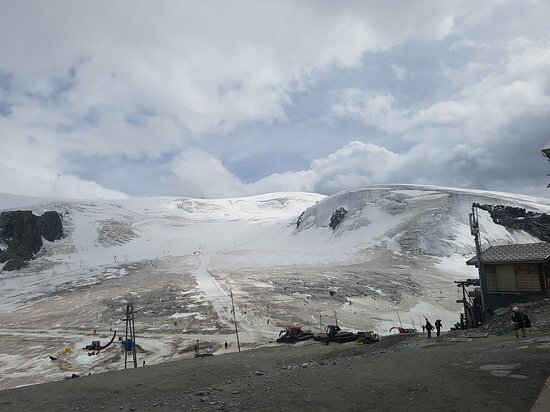 The restaurant is located off the main road 5 km from Cervinia. 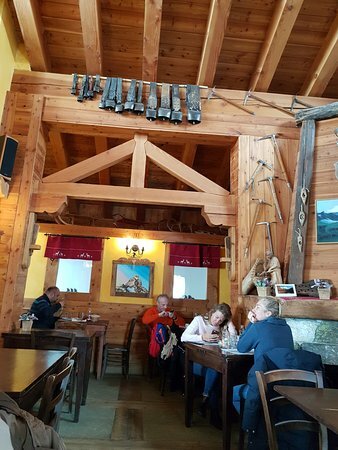 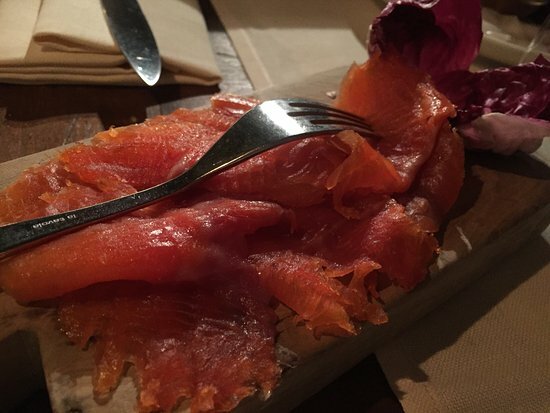 It offers traditional and modern food. 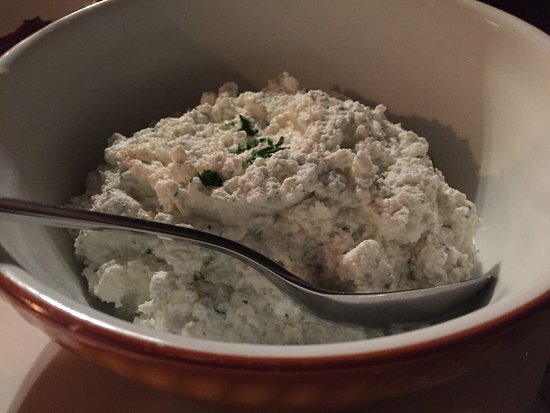 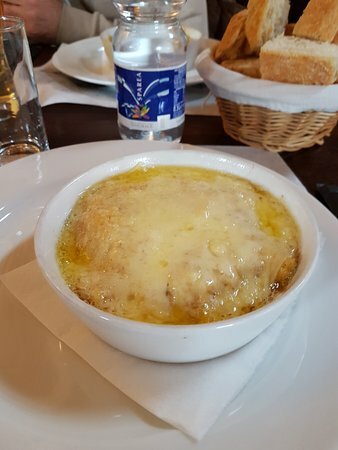 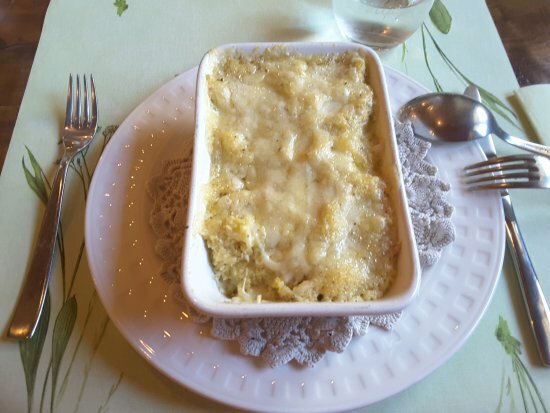 The traditional cabbage with cheese in a bread soup worth the journey to the restaurant. 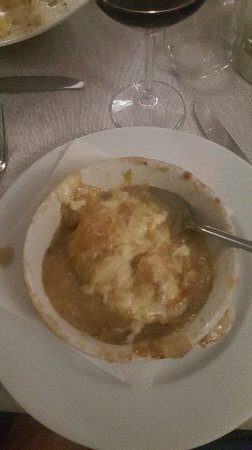 The pumpkin starter was good. 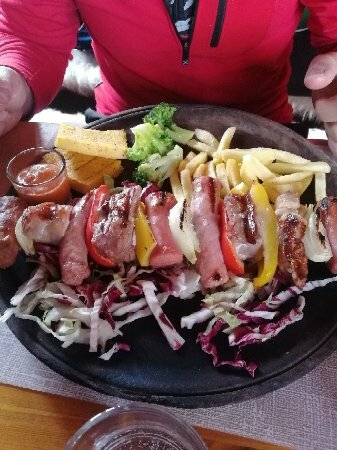 The deer and the venison special were also very good although it is not clear why it was served with a giant shrimp. 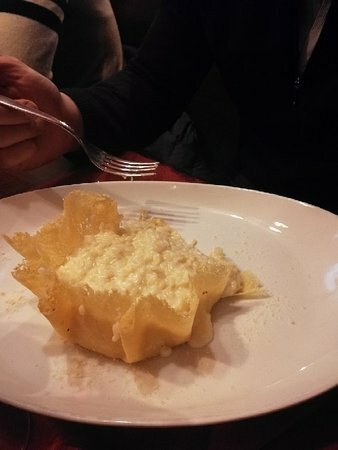 We also ate a pasta which was a twist on carbonara with leak and was excellent. 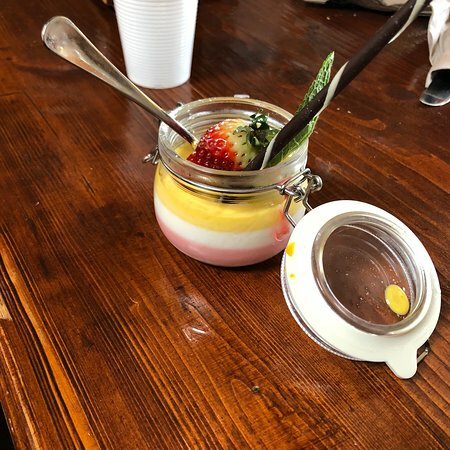 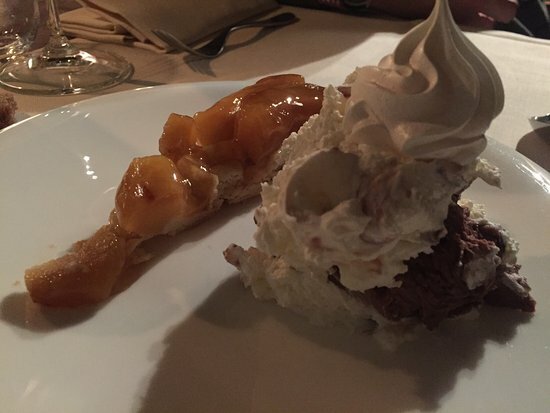 The panacota desert was good. 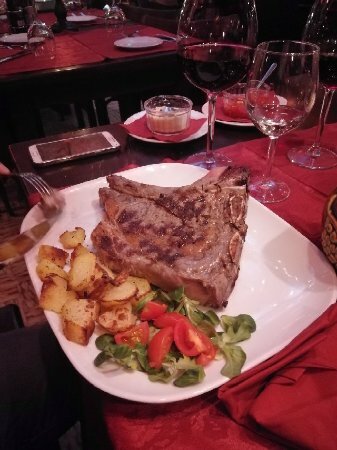 We ate a la carte but there are 2 menus. 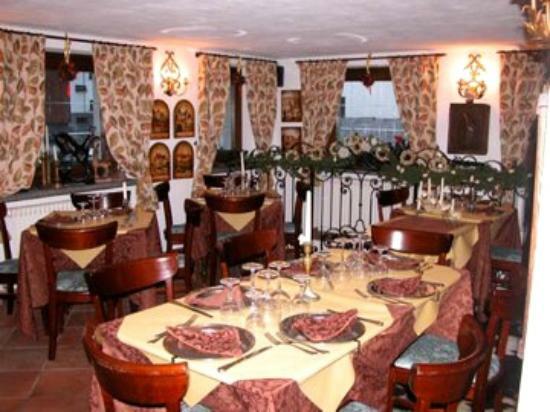 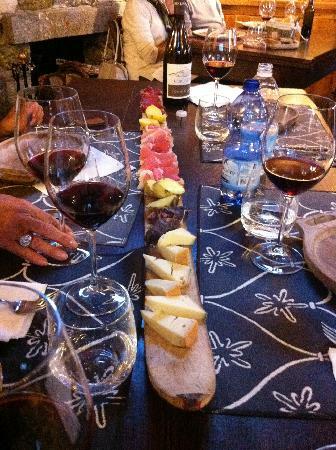 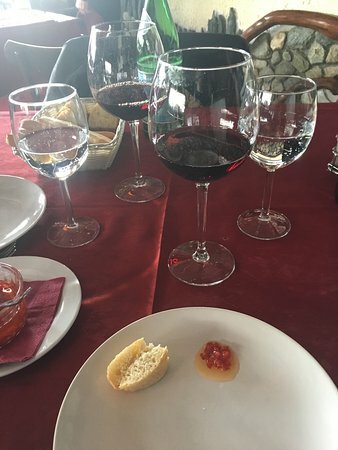 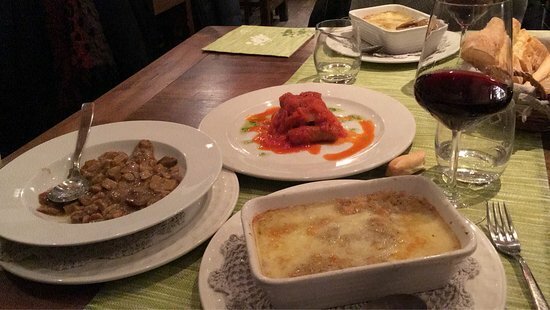 A traditional with the soup for 35 euro, and the modern with the pumpkin and deer and 4 glasses of wine for 65. 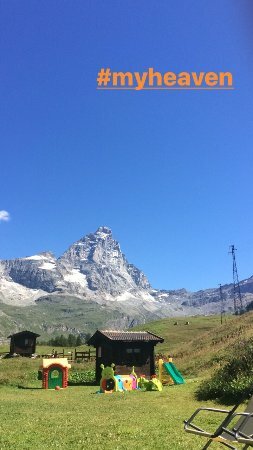 After a nice tour in mountain bike around the wonderull scenary of the "Gran Murailles" and a lovely view of the matterhorn... 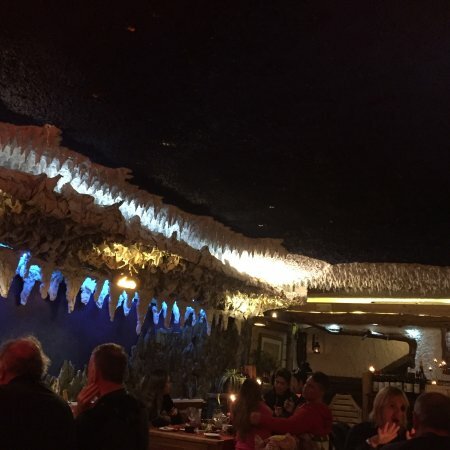 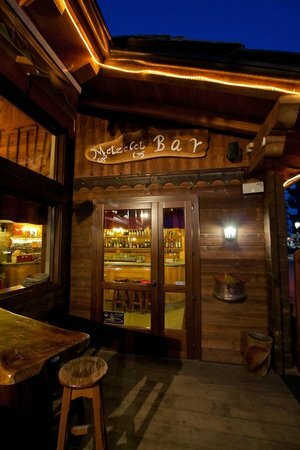 Here is located the bar restaurant "Alpage" ... 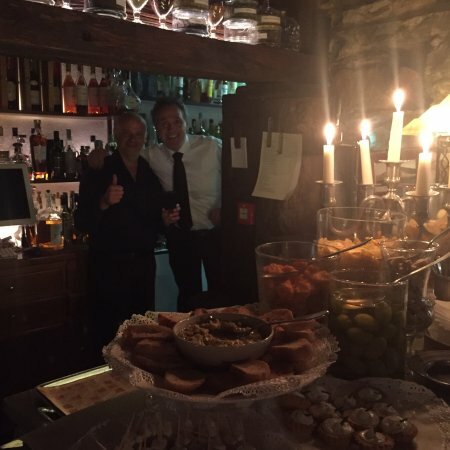 Friendly people wonderull food and a fantastic atmosphere !!! 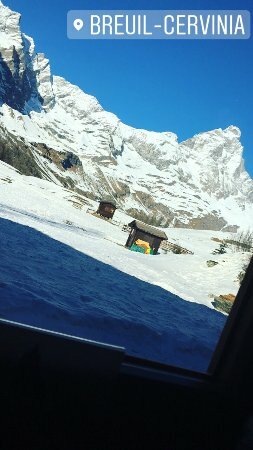 I will come back soon again!! 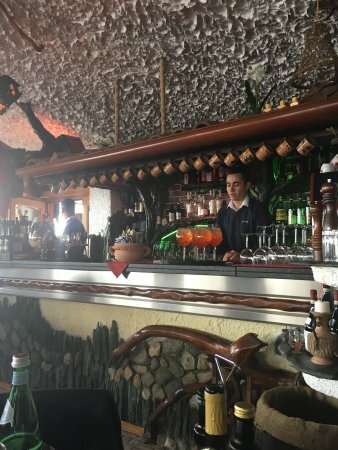 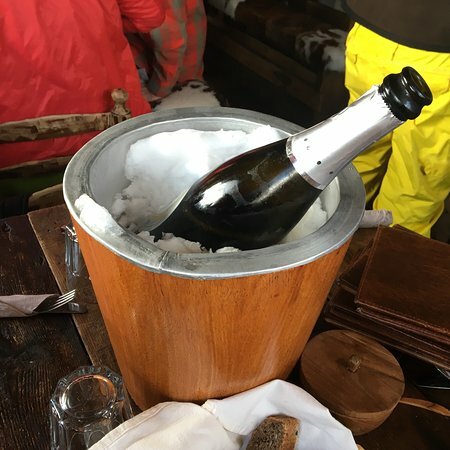 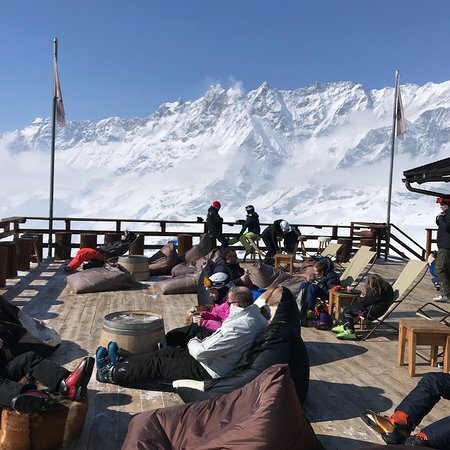 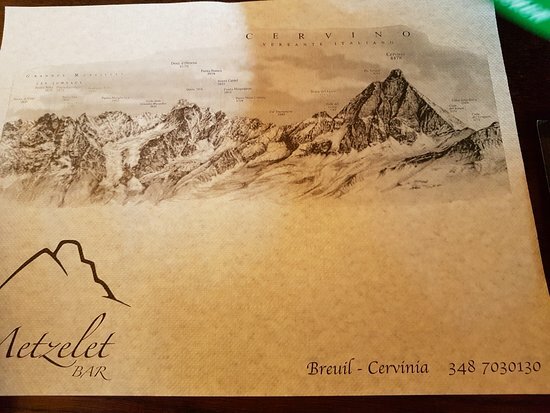 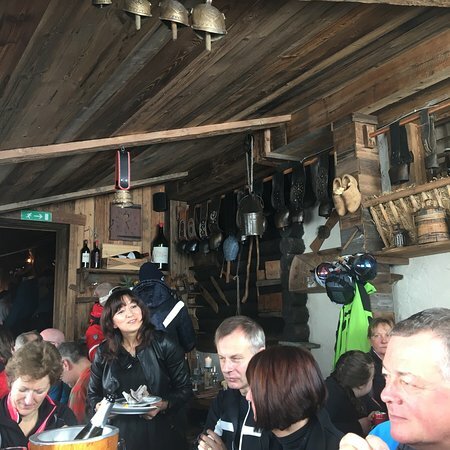 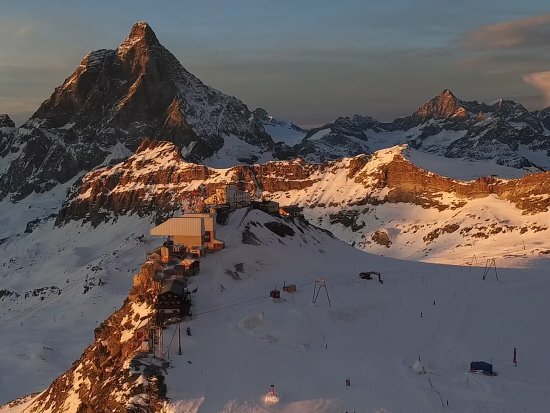 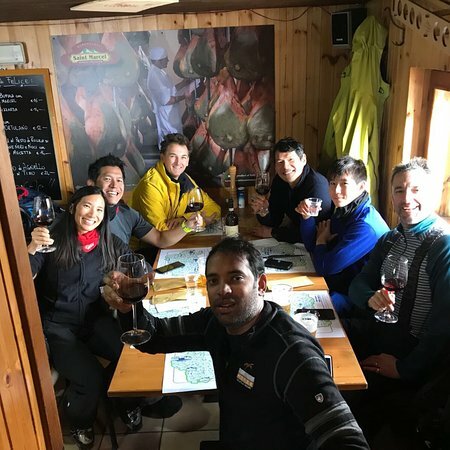 The Metzelet bar is a characteristic mountain chalet surrounded by Grandes Murailles Mountains and His Highness the "Cervino". 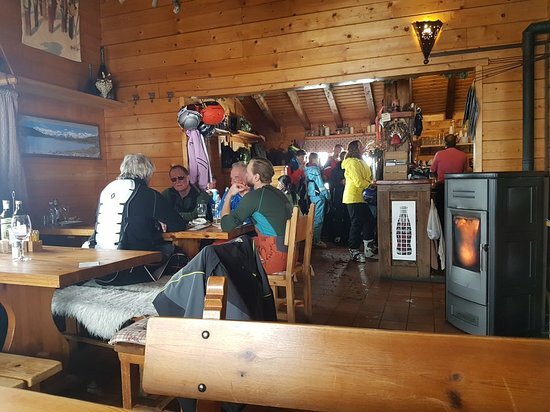 Located a few steps away from the ski slopes and the golf course, it is very popular also thanks to its wide Terrace offering calm and a perfect exposition to sun, ideal for those seeking relax. 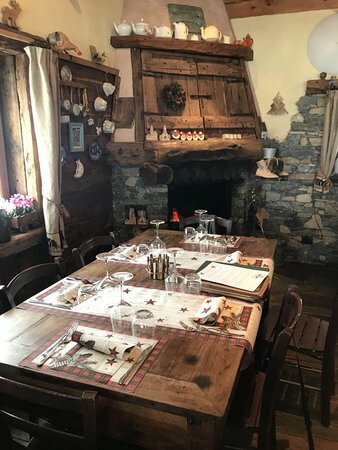 A lovely family run restaurant. 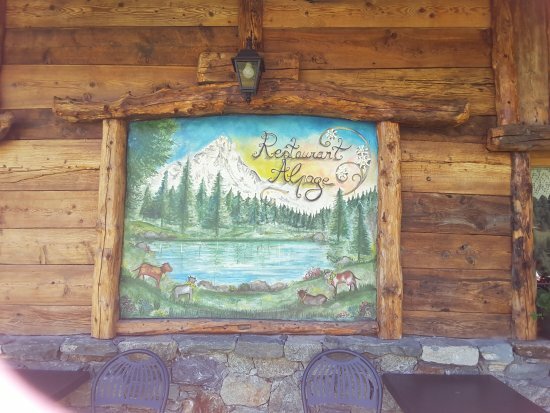 We come here every year for dinner but also for pre-dinner drinks. 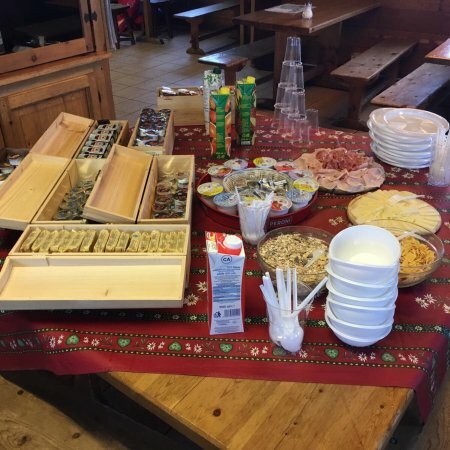 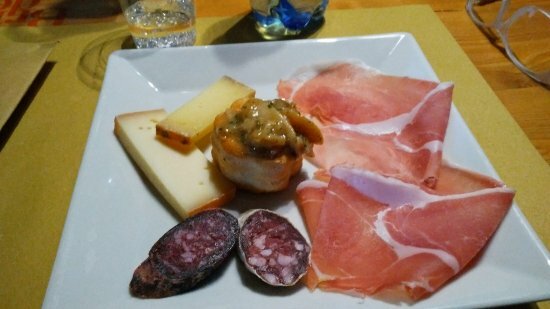 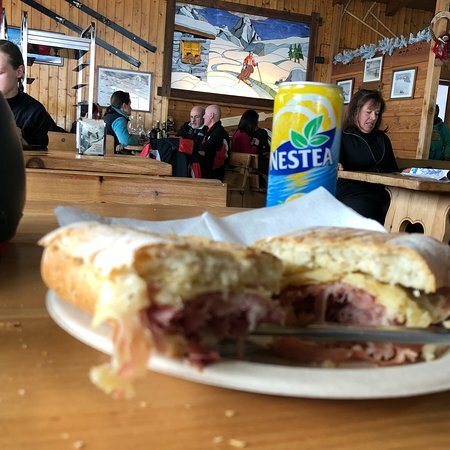 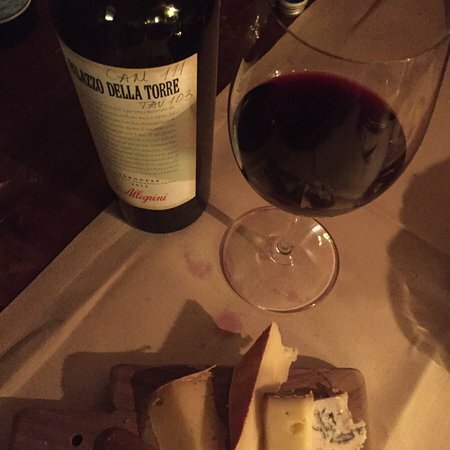 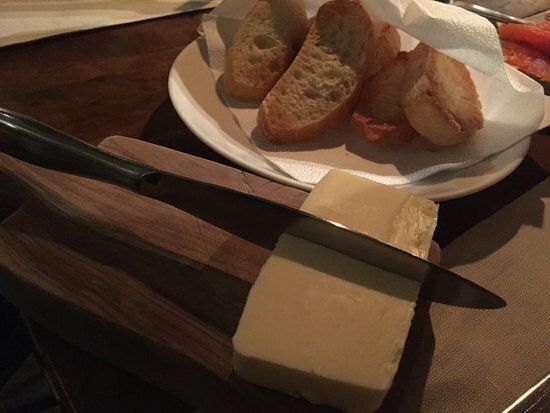 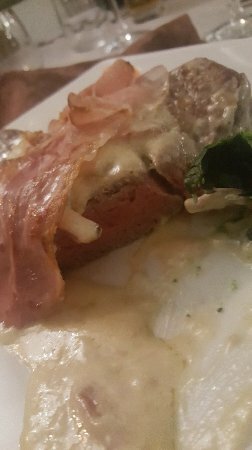 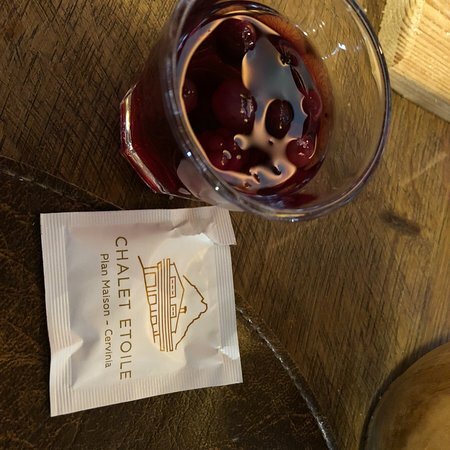 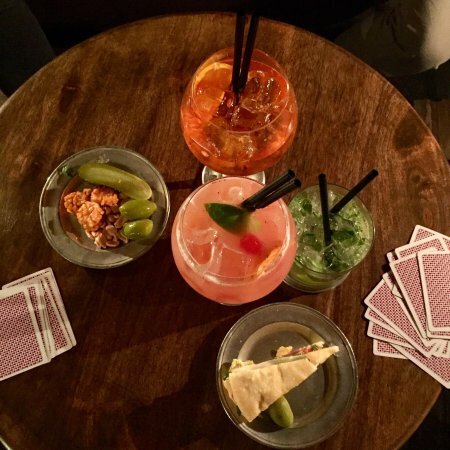 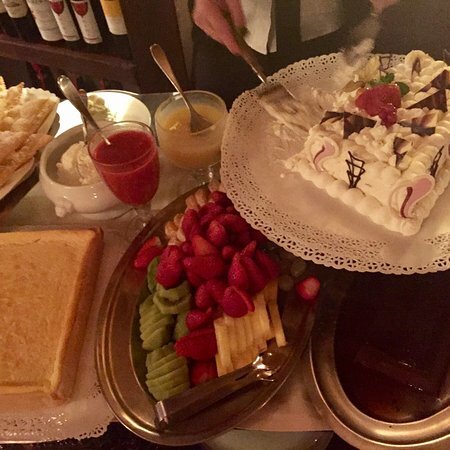 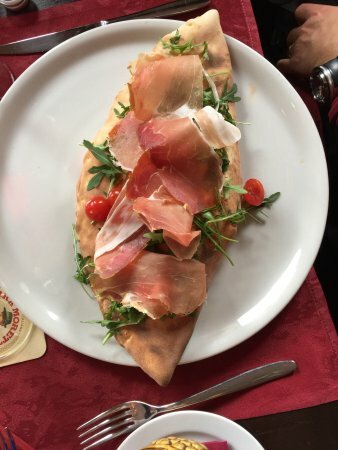 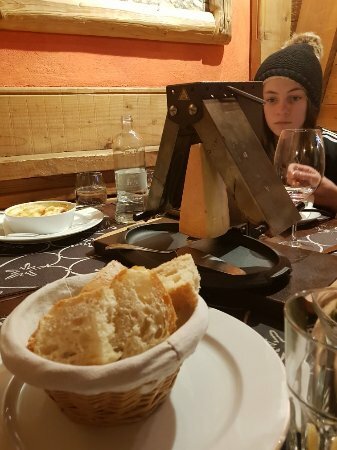 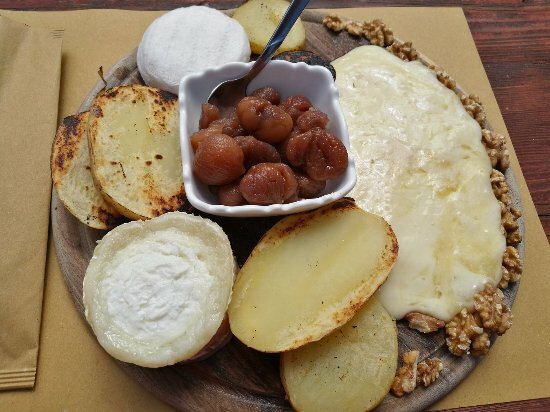 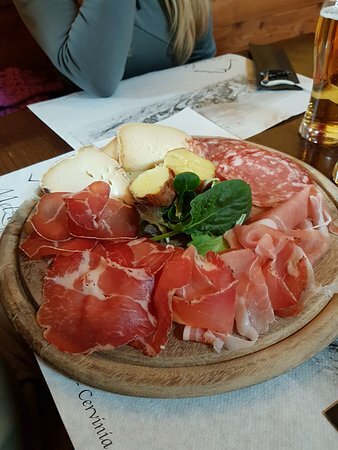 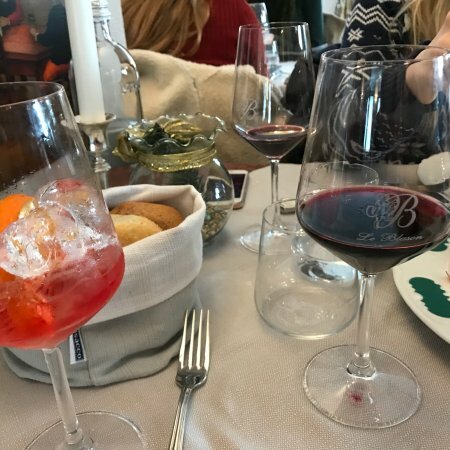 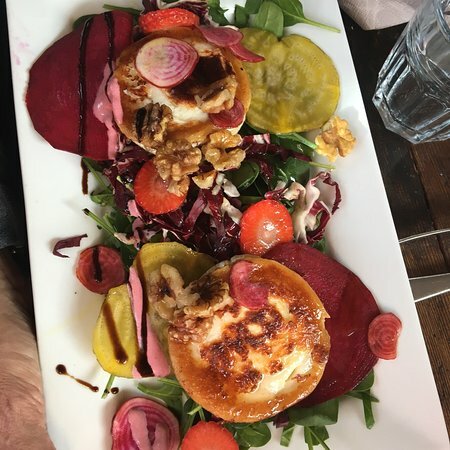 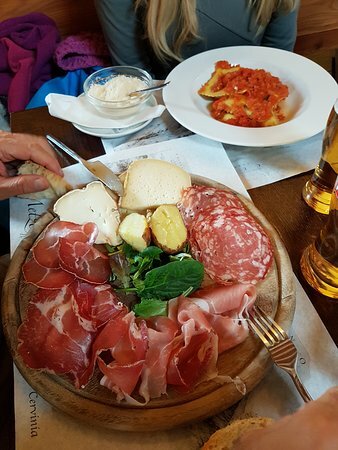 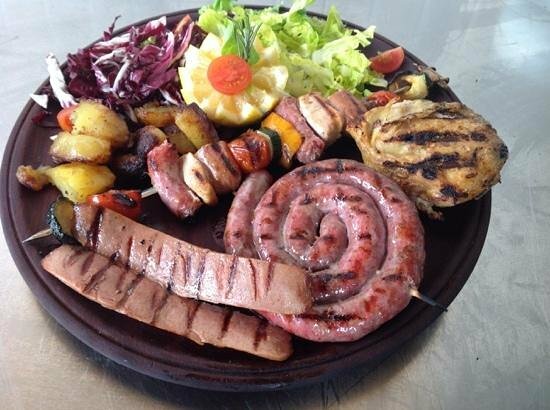 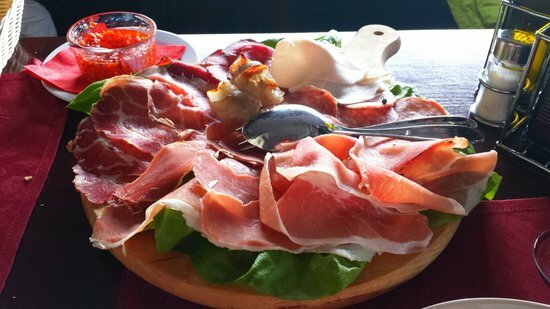 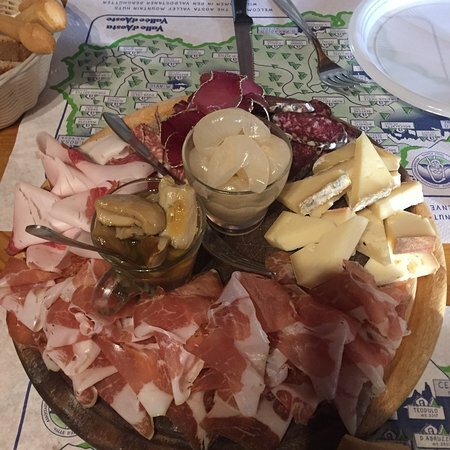 The staff are super lovely and as with most places in Cervinia, you will get a taster plate of local cold cuts / cheese if you come for drinks, but unlike some other places, in Metzelet the quality of these ingredients is excellent. 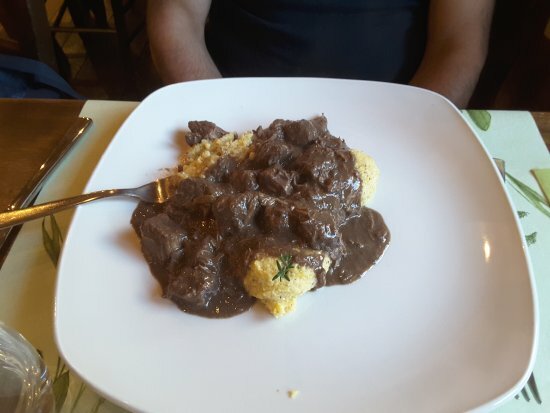 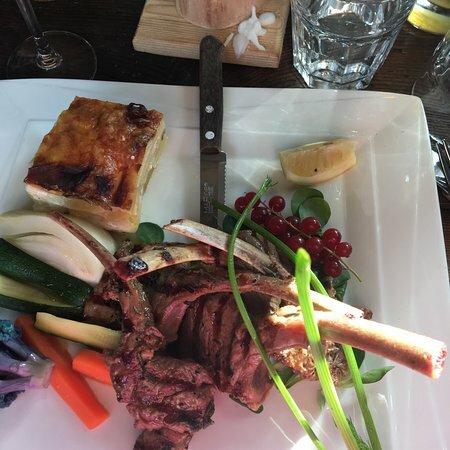 The dinner menu changes every so often but the most recent time, we had pork shank and beef shoulder - both dishes were absolutely superb, cooked to perfection and so tasty. 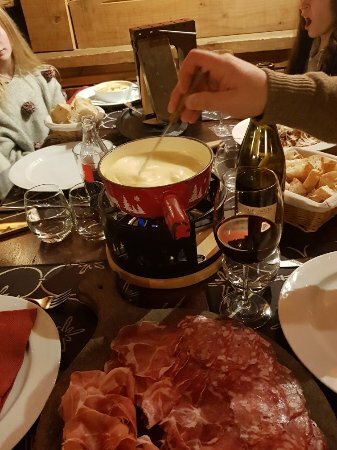 A lot of the diners have the tartiflette or fondue. 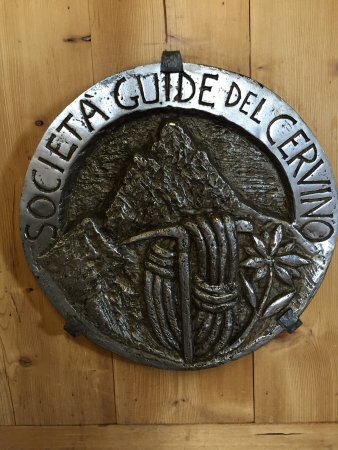 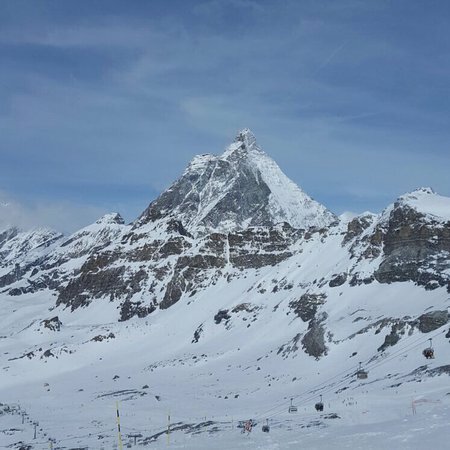 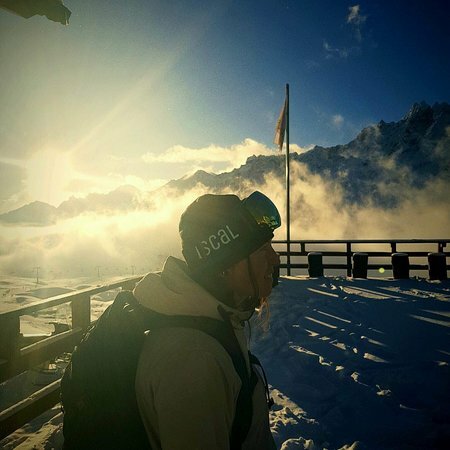 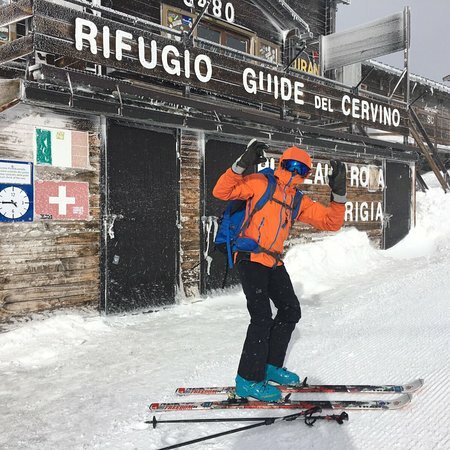 We will continue to go back each time we are in Cervinia for sure. 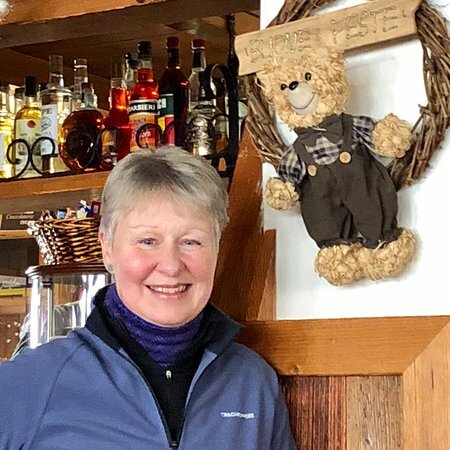 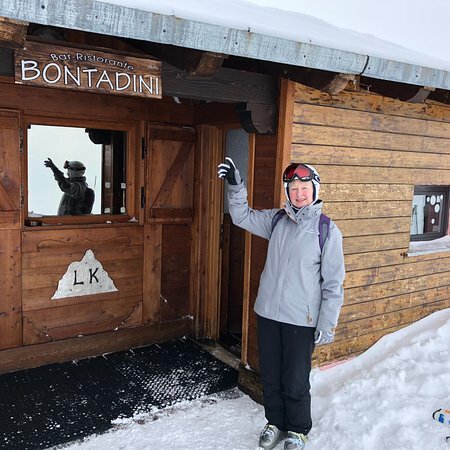 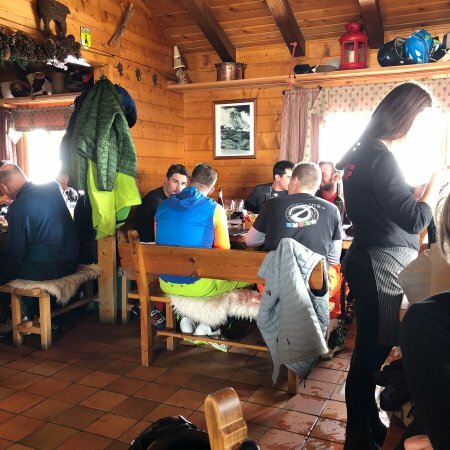 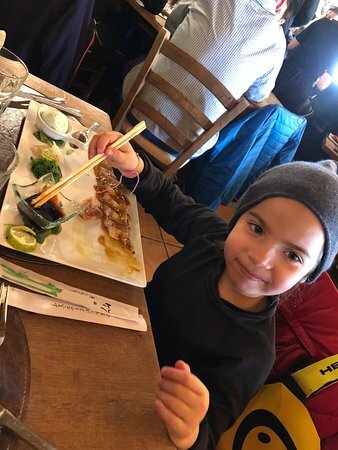 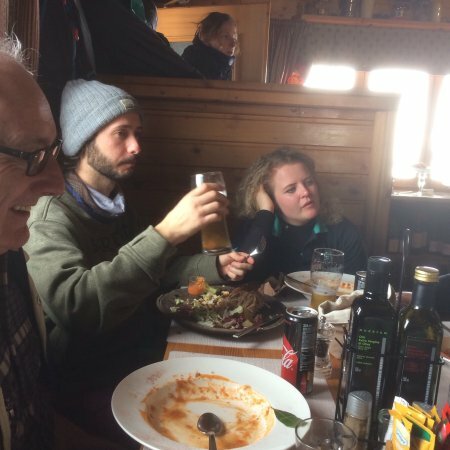 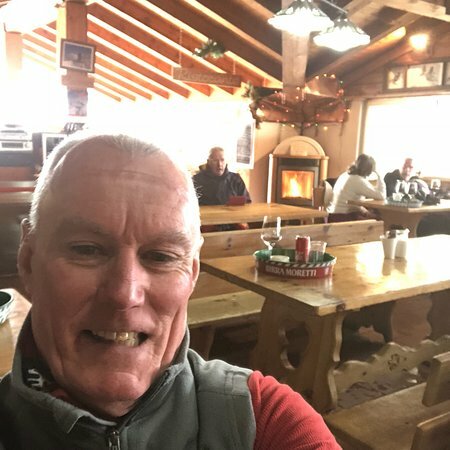 We always visit Bontadini when skiing in Zermatt (note: the sit-down restaurant downstairs, not the self-service which is always very busy and crammed). 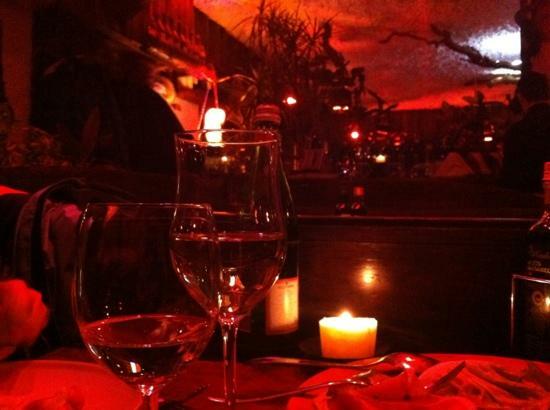 It’s a charming restaurant with a great view thanks to the full length windows and has a relaxed ambience. 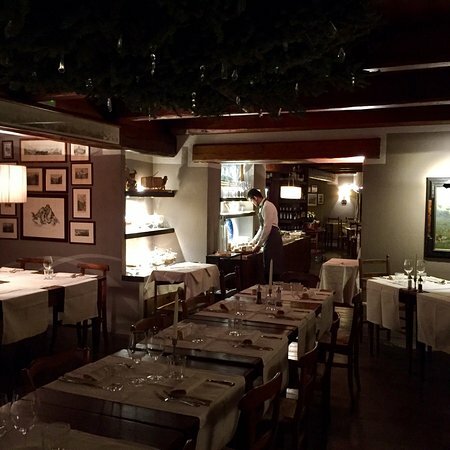 Over the years the staff seems to be largely unchanged which is often a good sign. 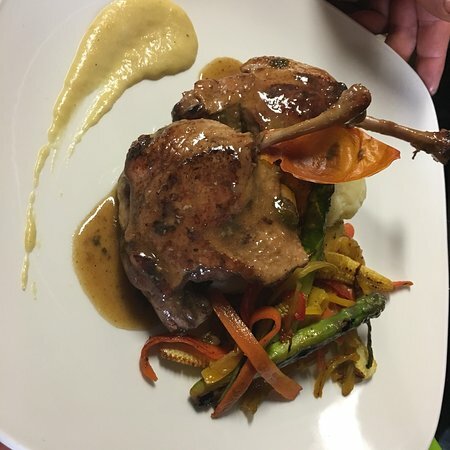 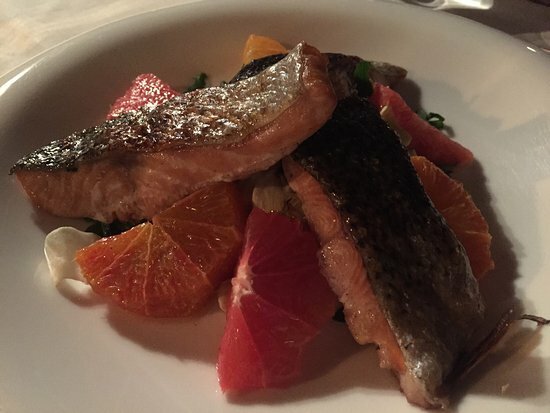 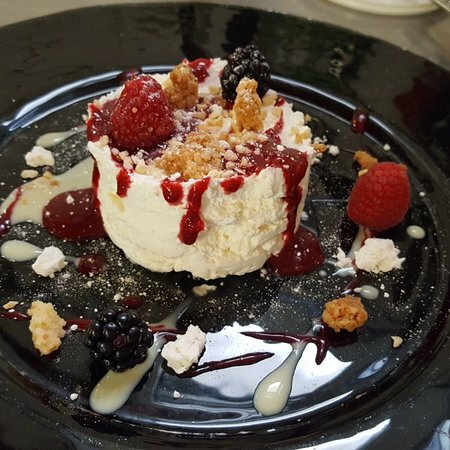 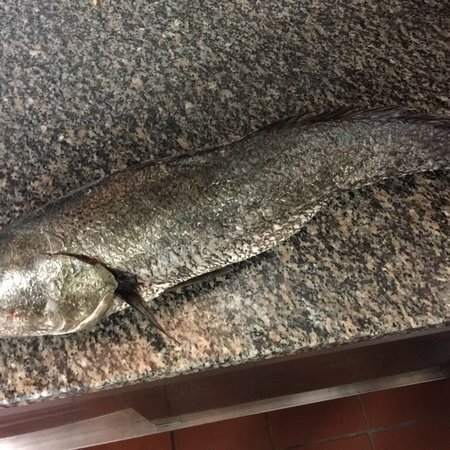 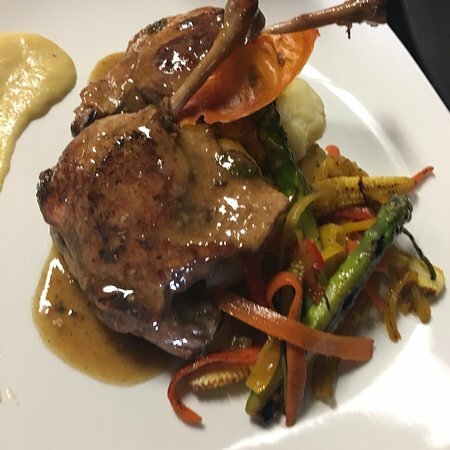 There’s a good a la carte menu and daily specials. 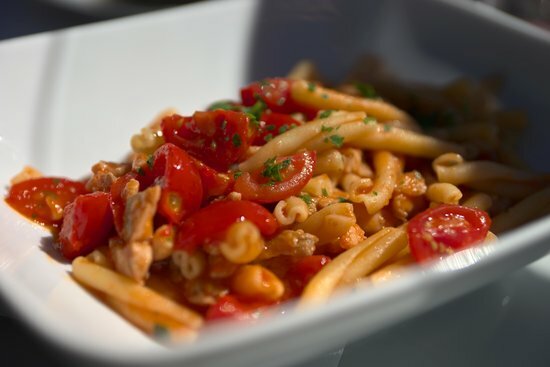 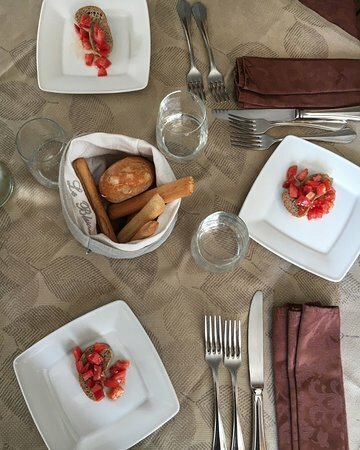 Touches like amuse-bouches and a good selection of breads with olive oil and balsamic add to the positive experience. 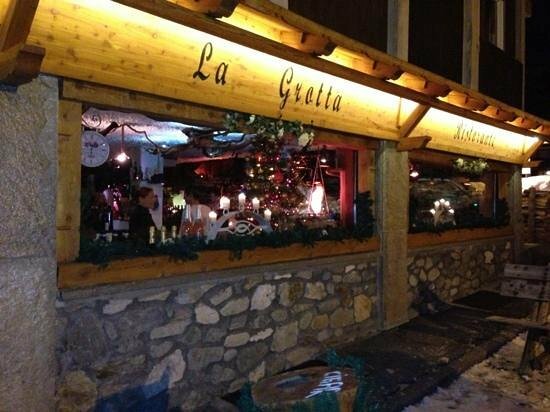 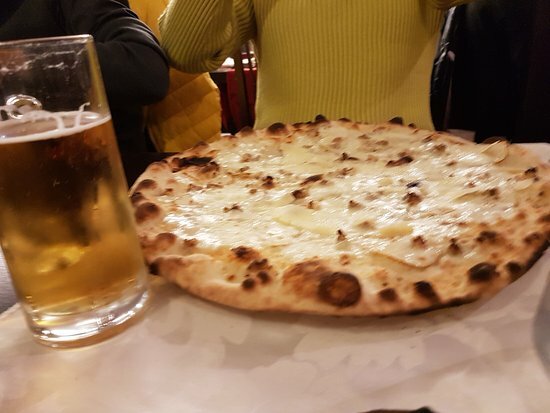 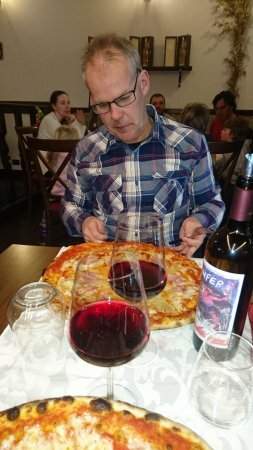 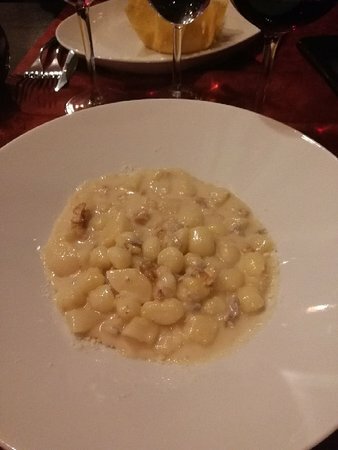 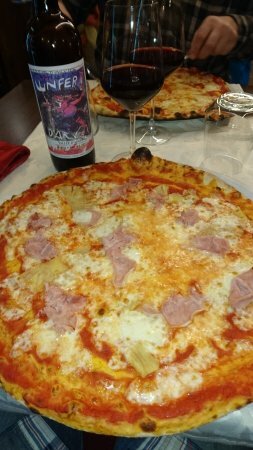 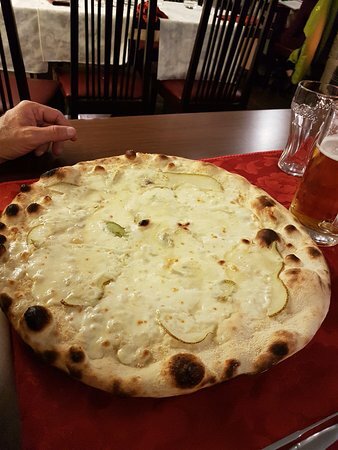 Last but one night of ski week and family meal out Wonderful food, veggie options The pizzas were to die for and the Gorgonzola,nut and pear gnocchi was Devine Together with an excellent house red this was a great night out Thank you. 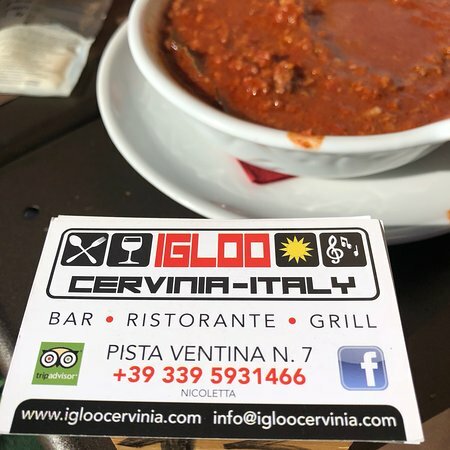 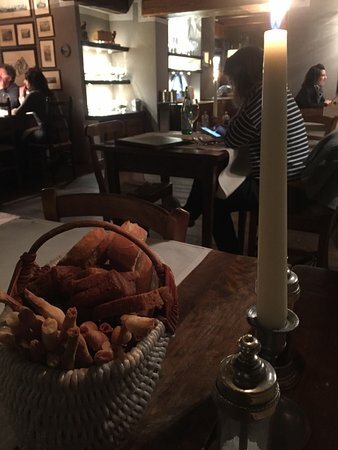 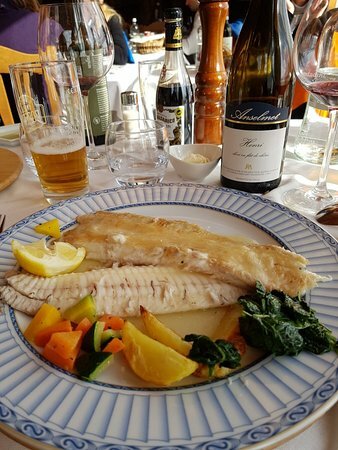 It is difficult to recommend what is really so recommended and so good in spite of passing years and weather winter difficulties :) We’ve been eating here in years and this place had always shown the best of Scandinavian way in Italian style. 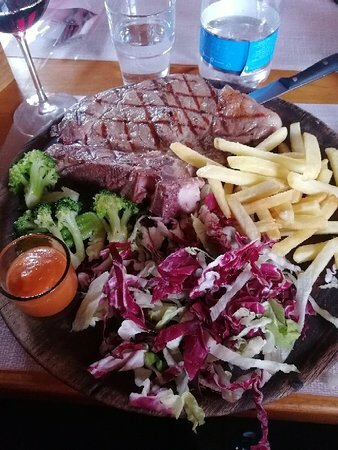 Just prices, these go up eventually every year in one 12 o’clock direction but this is life and business (after all why not to earn on high demand?). 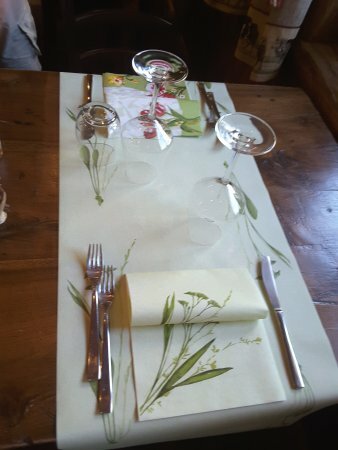 Just reserve the table and take what you like from the menu and you will see. 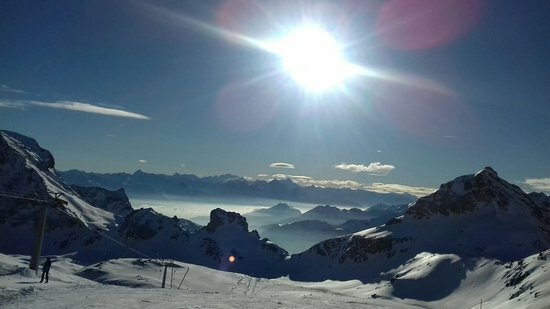 The views from here over the Italian Alps is fantastic. 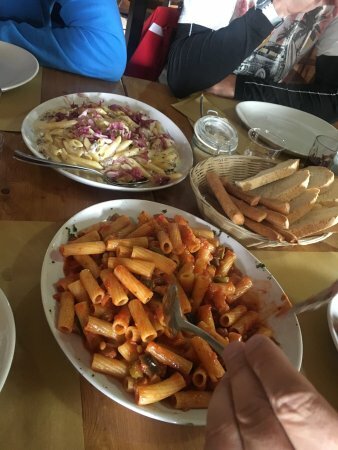 Food is very simple BUT fantastic. 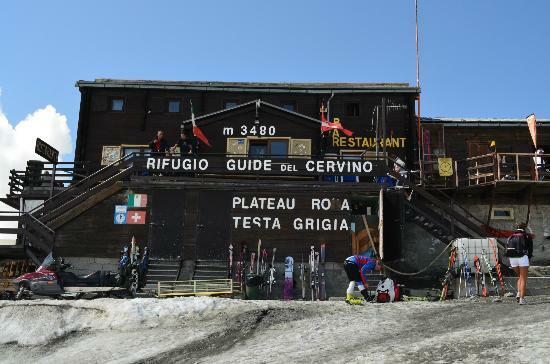 The Rifugio is a very characteristic alpine place. 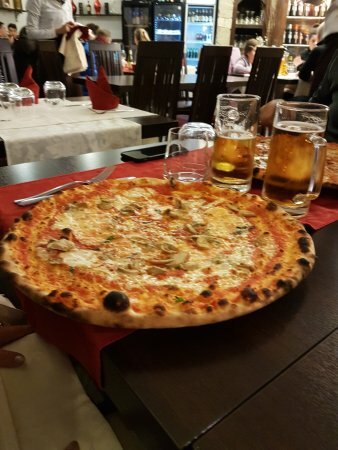 We went twice to this restaurant and had pizzas both times. 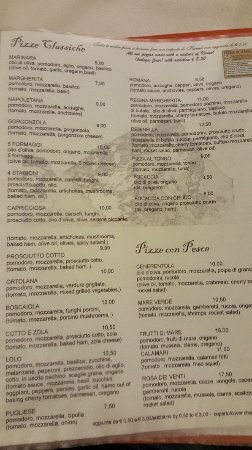 I&apos;ve never seen such a selection of pizzas - there were about 3 pages of options! 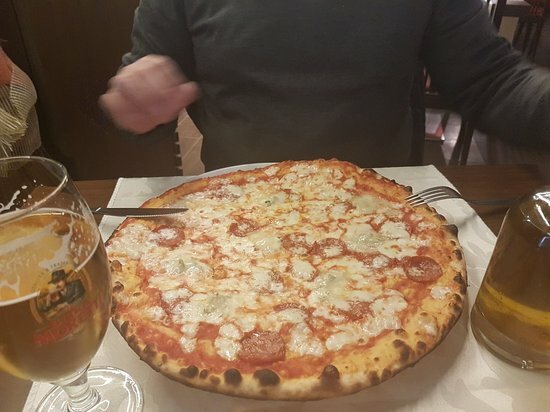 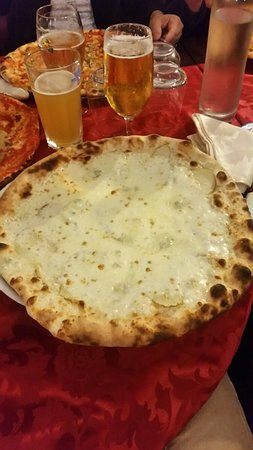 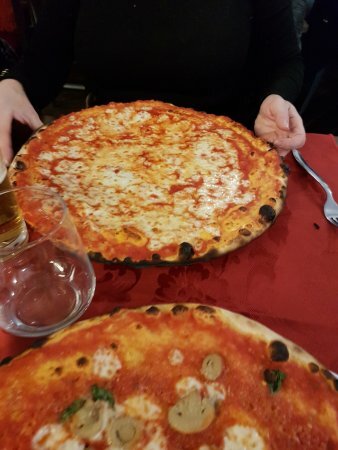 The pizzas are enormous, falling over the edge of the plate. 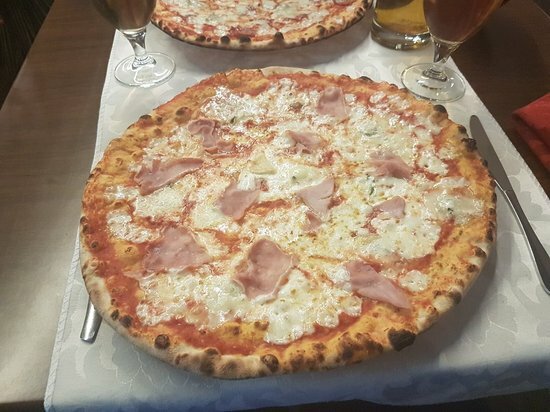 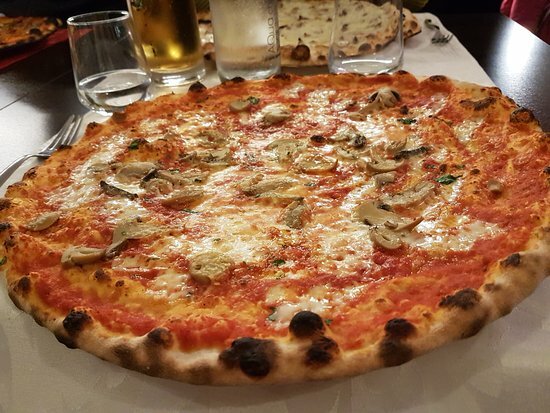 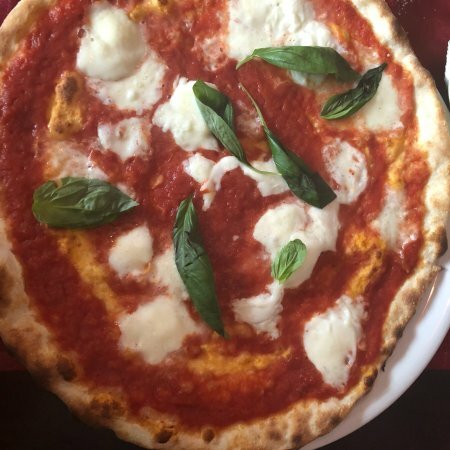 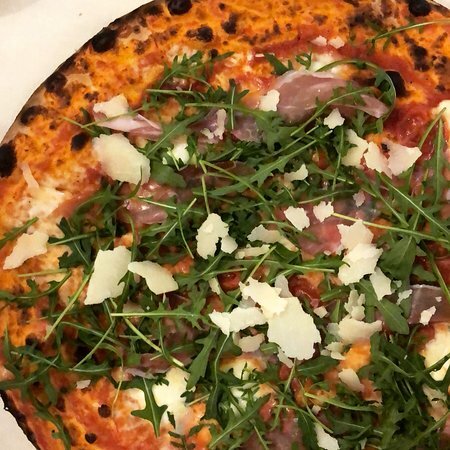 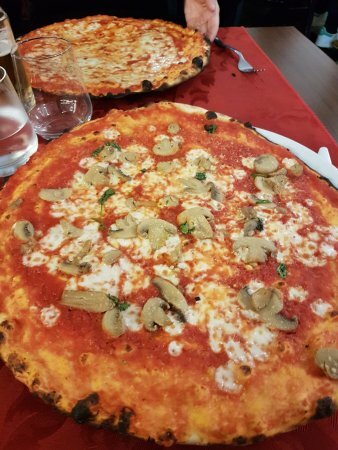 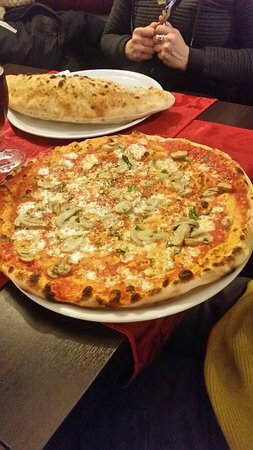 They were very tasty, some of the best pizzas we&apos;ve ever tasted. 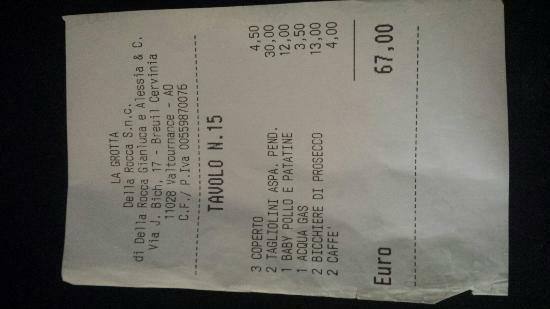 However on the first visit we were charged a cover charge but weren&apos;t given any breadsticks or bread. 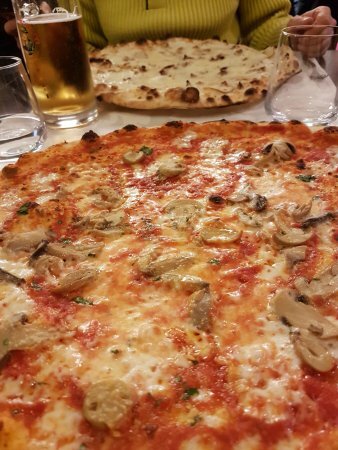 Then on the second visit my husband asked for additional mushrooms on his pizza. 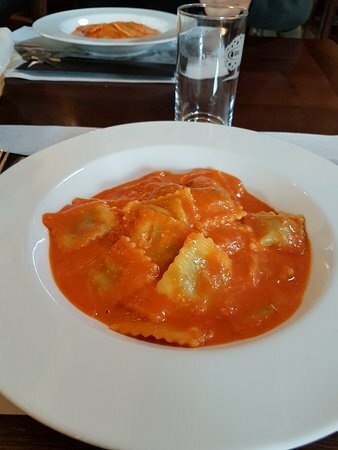 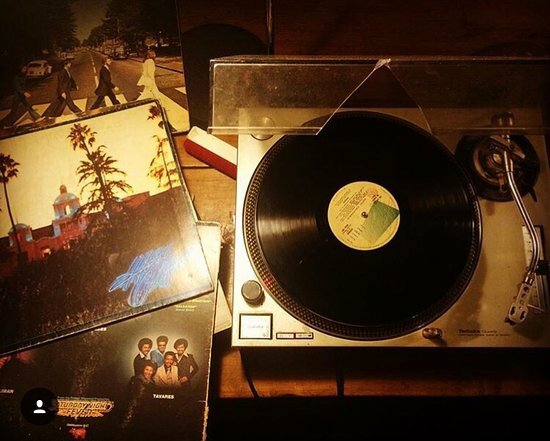 It came without them and we pointed this out but we were still charged for them on the bill. 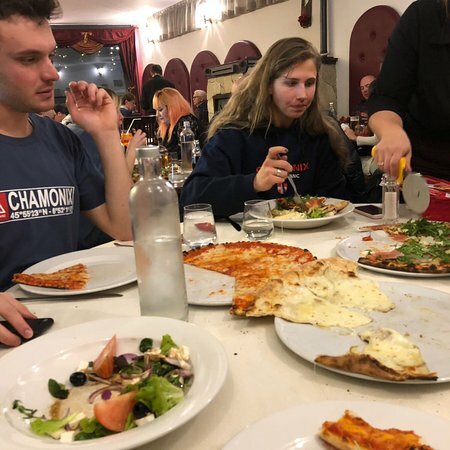 In addion we had to ask 3 times over a 20 minute period for the bill before it came. 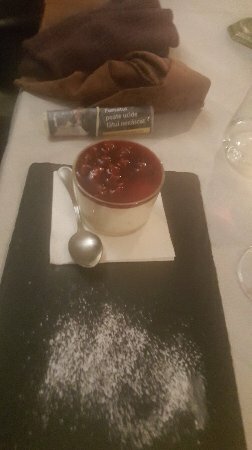 This just took the edge off the place as they were&apos;nt very busy. 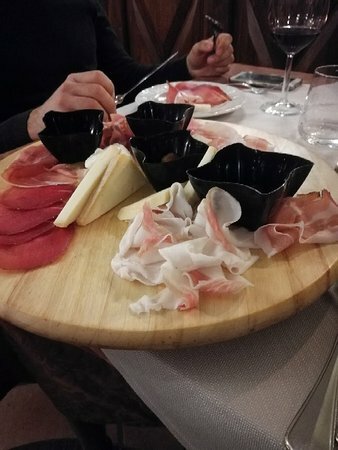 Went here every night for a full week since it was included in our hotel’s half board scheme. 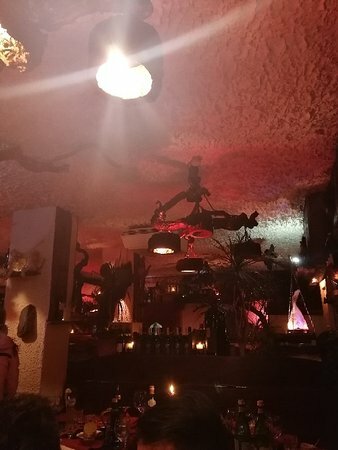 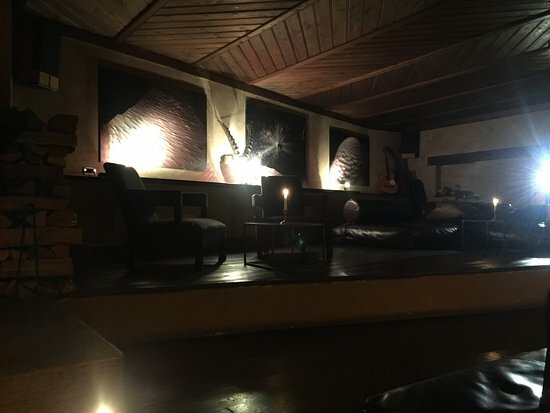 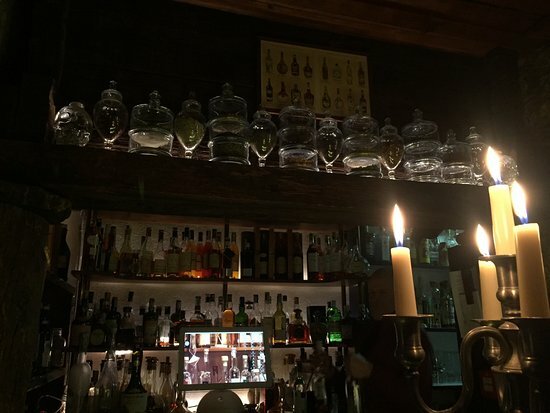 Very cosy ambience and nice service. 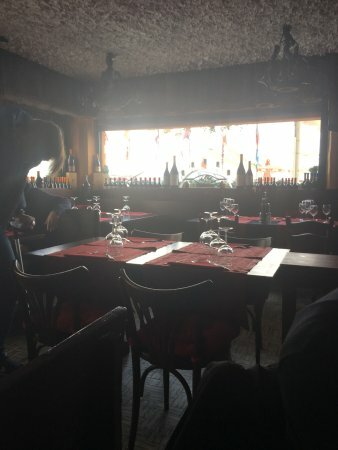 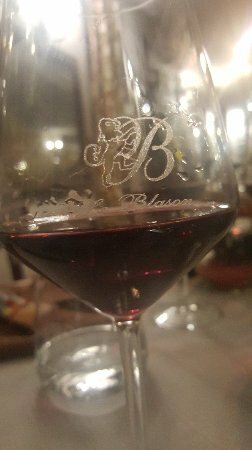 The food is generally well prepared and the restaurant also has an ok wine list (although they had ran out of a few items). 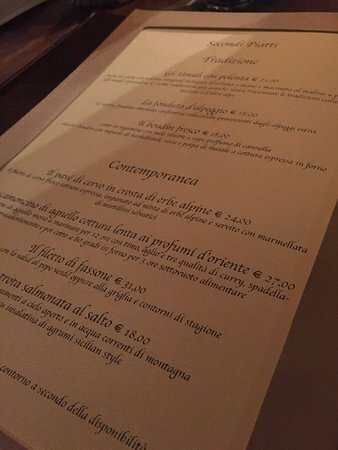 The only thing I wish for is a little more variety of the menu. 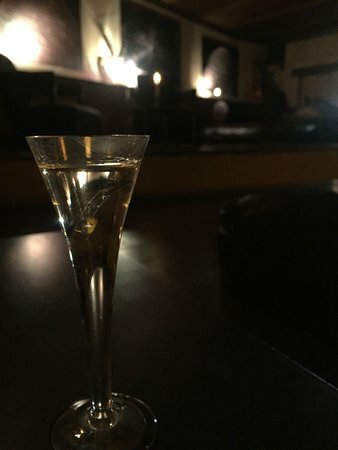 Towards the end of the week you kind of have been through the whole thing.